Warning: Craving-inducing photos, stories and listings ahead. 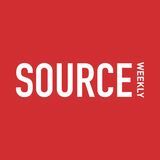 It’s time for the Source Weekly’s annual Restaurant Guide—a labor of love that has us getting hungrier with every page. 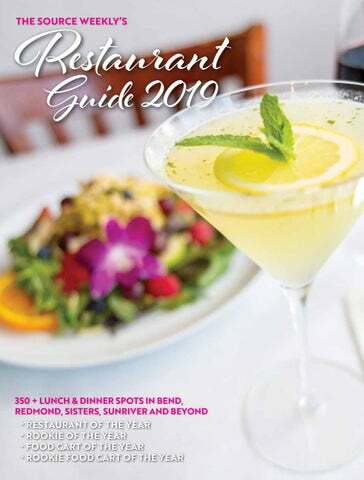 Inside, you’ll find listings for every restaurant on our radar offering table service in Bend, La Pine, Redmond, Sisters, Sunriver, Terrebonne and Tumalo (in a change from previous years, Tumalo has its own portion of the guide). Use the listings when you’re looking for a new place to check out—or for reminders about places you might have forgotten about. New this year: A new winning category, the Rookie Food Cart of the Year—a category we came up with after trekking across town over and over to eat at one delicious cart. Central Oregon has SO many great carts, and it is high time to celebrate one that’s getting it right, right out of the gate! Also inside you’ll find our Restaurant of the Year, Rookie of the Year and Food Cart of the Year, as well as a story on 2019 food trends. Buen provecho, Central Oregon! Always open to the public, Awbrey Glen Restaurant offers a relaxing atmosphere with delicious cuisine, a full bar and local microbrews on tap. A beautiful patio, spectacular views of the Cascades and plenty of parking make this “hidden gem” well worth a visit. 541-306-6393. thebackyardpizza.com Sun-Thu 11am-9pm Fri-Sat 11am-10pm Delicious brick oven pizzas, tasty brews, sports and a casual atmosphere. 541-617-5770. badwolfbakeryandbistro.com Daily 7am-2pm Sweets, savories, Benedicts and brunchy lunches for every palate in a stylish atmosphere. The buttermilk biscuit sandwich is a real crowd pleaser for those seeking something savory, while the cardamom waffles delight those with a sweet tooth! Brunch is served all day but you’ll also love their soup, sandwich and salad offerings. 541-241-7733. 10barrel.com Sun 11am-11pm, Mon-Thu 11am-11pm, FriSat 11am-midnight The same yummy pizzas, salads and other delights as the original west side brew pub, but in an expansive new east side location adjacent to 10 Barrel’s brewing facility. If you’re an east sider, why bother with the crowds on Galveston when you can get your trucker hats, and modern pub food here too?! Plus a banquet room that can serve up to 250 people. 541-678-5228. 10barrel.com Sun-Thu 11am-11pm, Fri-Sat 11am-midnight Modern pub food and trucker hats are back! 10 Barrel is still one of Bend’s most popular labels. Anticipate spending some time with an eager crowd around the fire pit. The pub attracts the après-skiers and offers a great choice for Bend’s fun-seeking audience. On multiple occasions, executive chef Joe Kim has been acknowledged as a top chef in the Pacific Northwest by the James Beard Foundation, one of the most prestigious honors of the food industry. The restaurant has been nominated for the James Beard award three times. Dishes are well presented, portioned and considered, giving Central Oregonians an impressive Asian fusion destination. 541-323-6295. 900wall.com Sun-Thu 3-9pm, Fri-Sat 3-10pm Modern American food heavily inspired by Italian and French cuisine. Its menus are seasonally inspired and responsibly sourced. The open, woodpaneled atmosphere brings a slight turn-of-thecentury upscale salon feeling, while the wine menu features a selection of more than 200 labels. 541-382-7372. www.abbys.com/locations/ oregon/bend Daily 11am-11pm Fifteen rotating beer taps. Family fun. Pizza. What more could you ask for? 541-389-8998. anthonys.com Mon-Thu 11am-9:30pm, Fri-Sat 11am10:30pm, Sun 11am-9:30pm With sustainable seafood and great views of the Deschutes River and the Les Schwab Amphitheater, Anthony’s has earned its reputation as a favorite local spot. The seafood grill has been a staple in the heart of the Old Mill for over a decade, featuring a broad selection of Northwest wines. 541-318-5720. applebees.com Sun-Thu 11am-10pm, Fri-Sat 11am-11pm Classic American food. Baby back ribs, burgers, salads and happy hour every day of the week. 541-330-5539. arianarestaurantbend.com Tue-Sat: 5pm-close One of only two chefs invited by the James Beard Foundation to present their food in 2014. Seasonal, organic and sustainable dishes blend Northwest cuisine with European and Mediterranean influences. 541-241-2926. activeculturecafe.com Daily 8am-9pm A natural foods cafe with salads, yogurt, and wholesome bowls. 541-388-0116. astroloungebend.com Daily 4pm-close Defying its first impression of being just another watering hole, Astro offers a menu of salads, sandwiches, pizzas and burgers with beef from the nearby Imperial Stock Ranch. Hawaiian, Lunch Spots 541-382-5662. alohacafebbq.com Mon-Sat 10:30am-8pm Specializing in Hawaiian barbecue, this east side cafe has some of the best deals in town, $8.45 gets you a generous helping of meat with rice or noodles and a delicious side! 541-388-4227. baldysbbq.com Tue-Sun 11am-9pm Living up to the title as Bend’s Best BBQ since 2005, as voted by the Source’s reader poll, Baldy’s meats are tender, delicious and smoked to that sweet spot between crisp and juicy; literally mouth-watering. With three locations and weekly specials on full racks of ribs and other fingerlicking goodness, there are plenty of ways to get your barbecue on. 541-385-7427. baldysbbq.com Tue-Sun 11am-9pm Last time we visited this spot, a friend said “I am never cooking again.” Which we took to mean, they’ll be eating at this spot from now until infinity..
541-382-6622 Sun-Thu 4pm-8:30pm Fri-Sat 4pm-9:30pm A seafood spot with an emphasis on Mexican flavors. If you want spicy and fresh fare, this is your spot. Seafood options include marlin, halibut, Dungeness crab, snapper and more. 541-389-2050. www.facebook.com/ bangersandbrews/ Mon-Thu 11am-8pm, Fri-Sat 11am-9pm A family-owned spot serving brats—and you guessed it, brews too. Whether they’re served with the homemade garlic aioli, or the chicken and apple poultry option, these brats are anything but ordinary. Editor’s note: All listings have been verified by a real-live human as of April 2019—but things change, so when in doubt, call ahead. THANK YOU FOR 10 YEARS OF SUPPORT! Thank you for making this first year great! Join us for special events like sake tasting, ladies night, and sushi making classes! 541-382-0002. Barrelthiefbend.com Tasting room hours: Sun-Tue: noon-6pm Wed-Sat: noon-7pm A distillery, with an adjacent lounge open for group reservations and special events, and a tasting room open limited hours. 541-389-2025. barriobend.com Mon-Thu 11am-9pm, Fri-Sat 11am-10pm, Sun 3pm-9pm There’s a difference between Spanish and Mexican food and Barrio does a delicious job embracing Spanish food with an added American twist. Start with a margarita (of course), and then feast on traditional tapas or the paella—the house specialty. 541-639-3115. beachhutdeli.com Mon-Sat 10am-7pm, Sun 10am-6pm A surf-themed deli franchise located near Drake Park and Mirror Pond Plaza in downtown Bend. This is a local dog favorite, seriously, they have a “dog wall.” Come down to see for yourself! 541-383-1599. bendbrewingco.com Daily 11:30am-10pm With a killer patio overlooking Mirror Pond, this local favorite has plenty of room for everyone. The happy hour Sriracha cauliflower is a must and Tuesday is Locals Day, with $3.50 pints. 541-382-1914. bendburger.com Daily 11am-9pm This Bend burger joint offers 12 burger options, as well as steak and chicken sandwiches, salads and soups. All the sauce is house-made with a secret seasoning. We may never know the secret to why these burgers are so good but we always leave satisfied. 541-647-1819. bendpizzakitchen.com Daily 11:30am-8:30pm Sixteen rotating taps, community events and delivery of wine and beer, all have made BPK a local favorite. Located in NorthWest Crossing, and serving more than 70 percent of its ingredients organic and/or locally sourced, BPK is a good choice for good times and great food. Gluten free and vegan pizzas are popular items. 541-323-3357. bendobento.com Mon–Fri 10:30am-3pm Japanese bento, in a tucked-away spot on Wilson. This is one of Bend’s best bento secrets. 541-617-0513. bethlynsglobalfusion.com Sun-Thu 11am-8pm, Fri-Sat 11am-9pm With favorites such as the fried avocado tacos and a Chinese pork sandwich, this bistro-fusion restaurant is a favorite for good reason. Expansion is coming soon, with a larger bar and eclectic creations to come! 541-633-7378. konamixplate.com Mon-Sat 11am-8:30pm, Sun 11am-7pm Get your Kalua pork, teriyaki and bulgogi beef on at this solid Hawaiian joint, featuring signature mix-and-match plates and sides. Also featuring oversized sandwiches and various appetizers. 2625 NE Butler Market Rd. 541-306-4096. facebook.com/bigobagels Mon-Sat 6am-4pm, Sun 6:30am-3pm Dozens of bagel choices, and yummy bagel sandos. 541-317-3924. facebook.com/bigobagels Mon-Sat 6am-4pm, Sun 6:30am-3pm A solid choice for a solid bagel or bagel sandwich. 541-383-2446. facebook.com/bigobagels Mon-Sat 6am-4pm, Sun 6:30am-3pm Popular among both fast-moving professionals and powder hungry skiers and boarders, Big-O is the quick one-stop for Strictly Organic Coffee and a bagel sandwich. The three locations offer great breakfast and lunch concoctions with 20 bagel varieties. Reader’s Choice Best Bagel. 541-728-0753. birdiescafebend.com Daily 7am-1:30pm Americana-themed food and probably the restaurant with the most pug pictures in town, this conveniently located breakfast and lunch spot at the bottom of College Way is a fuel for students, families and everyone else. 541-728-0065. bistro28.com Daily 4:30pm. to close This innovative dining concept comes from the owners of Bend’s beloved Zydeco restaurant and offers the same great level of quality. Located at The Athletic Club of Bend, this is an all-purpose eatery, comfortable for those wearing puffy jackets as well as perfectly tailored sport coats. .
541-312-8327. blackbeardiner.com Sun–Thu 6am-9pm, Fri-Sat 6am-10pm All-American diner? Check. Breakfast with gravy? Of course. With a delicious pie selection and a kitschy yet comfy atmosphere, this is the go-to for classic family friendly diners and beyond. 541-241-2890. bogeysburgers.com Mon-Thu 11am-9pm, Fri-Sat 11am-10pm Burgers, fries, shakes, wings, salads and ice cream. Sounds like a family night out! Enjoy Fresh Northwest Seafood at Anthony’s ® on the Deschutes River! 7 beer selection, including 12 rotating taps. Also to note: patio is dog-friendly. 541-383-8200. brokentop.com Wed-Fri 11am-8pm, Sat-Sun 8am-noon A golf club with a contemporary Northwest restaurant that’s open to the public. Serving lunch and dinner Wednesday through Sunday, focused on local and regionally-sourced ingredients. Come in for Prime Rib Wednesday or special mimosas during Saturday brunch! 541-382-8004. cafesintra.com Mon-Sat 7am-3pm, Sun 7am-2pm Sintra brings authentic Portuguese cuisine to Bend with green chili chicken stew, linguica infused breakfast, lunch dishes and just recently, dinner! Rejoice the with mouthwatering pastries, to tapas and full entrees through the entire day! 541-323-6323. bronxbornpizza.com Daily 11am-10pm A new spot in Bend featuring brews and pizza slices featuring crust thin enough to fold in half and eat with one hand—the crust itself still thick and crispy. 541-241-7184. boneyardbeer.com Daily 11am-10pm Finally—Boneyard has a brew pub! Their new location boasts a spacious dog-friendly patio and two bars. With fare ranging from wings to a tasty vegan jackfruit bowl, there’s sure to be something for every beer-loving Bend-ite. 541-241-2735. www.bostaurussteak.com/ Daily: 5-Close A boutique chef driven American steakhouse located in the heart of downtown. Our open-air kitchen is built on Chef George Morris’ commitment to sourcing the highest quality beef from around the globe and centered around a custom cast-iron slab designed for a perfect sear. With an unwavering focus on flawless ingredients and perfect execution, Bos Taurus set out to create a fun and lively fine dining experience with a true Bend twist. .
541-797-0182. boxwoodkitchen.com Lunch 11am-3pm, Dinner 5pm-Close The folks behind Bend’s delicious meal delivery service have opened a brick-and-mortar, featuring artful dishes and creative cocktails in a “supper club” environment. 541-728-0334. brickhousesteakhouse.com Mon-Fri 4:30-9pm, Sat-Sun 5-9pm Casual luxury is what the Brickhouse is all about. Large sleek booths complement an impressively stacked bar. A steak house with heart, featuring high grade natural beef and other proteins that are natural and hormone free, with organic produce whenever possible. 541-318-9866. cafeyumm.com Mon-Fri 10am-9pm, Sat-Sun 10am-7pm A perfect compromise for those seeking exciting flavors and healthy ingredients, Café Yumm’s go-to dish is a layered rice bowl with beans, tomatoes, avocado, and cheese, all topped off with the trademark Yumm Sauce. 541-306-3321. brotherjonspublichouse.com Wed-Sat 11am-11pm, Sun and Tue 11am10pm, Mon 11am-10pm The 2018 Best Of winner for “Best Pub Menu,” for a good reason. This neighborhood pub with a full bar, brews and comfort food in hearty portions, including mac and cheese, meatloaf, and burgers, plus a variety of salads and sandwiches. Add in patio seating and you have the recipe for a west side favorite. 541-318-6300. carinos.com Sun-Thu 11am-9pm Fri-Sat 11am-10pm Family-friendly chain Italian restaurant located in Cascade Village shopping center. Specials run throughout the week, family nights are every Monday, where family platter is half off. Kids eat free on Thursdays and wine-down on Wednesday, when every bottle is half off! go-to dishes are layered bowls and wraps of beans, rice, avocado, tomatoes, cheese, cilantro. Perfect for a lunch or dinner! 541-728-0102. brotherjonsalehouse.com Sun-Tue 11am-10pm, Wed-Thu 11am-11pm, Fri-Sat 11am-Midnight A great downtown spot for an easygoing beer, dinner or sport watching, and a well-thought-out selection of on-tap beers. Oh, and the food is solid, with yummy sandwiches, burgers, salads, Tex-Mex faves and more. Haven’t tried the bomb sauce yet? You should. 541-797-6581. brownowlbend.com Mon-Fri 11am-11pm, Sat-Sun 10am-11pm A locals’ favorite with a cozy reclaimed wood interior, a full bar, and its flagship food cart outside the front door to keep you well-fed. People come from all over to feast on the chicken sandwich, perhaps you should give it a try. 406-207-4665. browns-basics-bakeryand-eatery.business.site Tue-Fri 7:30am-3pm, Sat 9am-3pm Cupcakes, cakes and other baked goods—plus special food items such as Taco Tuesday. 541-306-3322. cabin22bend.com Sun-Thu 8am-11pm, Fri-Sat 8am-Midnight A lively atmosphere, top-notch patio, and live shows make one of Bend’s standout hangout spots. The menu offers a range of unique spins on classic pub food; everyone will leave feeling full and happy. 541-693-5300. pronghornresort.com Closed for renovation as of date of publication; call ahead Whether you’re hitting the links or you’re just ready for a good meal, Cascada features gorgeous Cascade views and a wraparound patio for plenty of outdoor dining. 541-388-4998. cascadelakes.com Sun-Thu 11am-10pm Fri-Sat 11am-11pm Brewhouse salads, taco Tuesdays and fish and chips Fridays, burgers galore and much more make this popular west side brew pub.Kitchen closes at 10pm, bar open until 11pm. 541-389-1853. facebook.com/cascadewestbend Daily 10:30am–close A Westside fixture, Cascade West serves up deep-fried chicken and jo-jos, a locals’ pick for late night grub. 541-389-1725. chanschinese.com Mon-Thu 11:30am-9pm, Fri 11:30am9:30pm, Sat Noon-9:30pm, Sun Noon-9pm Chan’s offers a wide variety of Chinese cuisine including Cantonese, Yi Xiang, Szechuan, and Mongolian. Plenty of diet-friendly options are available. 541-330-0631. cheerleadersgrill.com Daily 6am-2pm You’ll find classic diner fare at this family-friendly sports pub on the Riverhouse campus. They have monthly specials along side breakfast and lunch served daily. 541-317-0727 The Phoenix Restaurant 594 NE Bellevue Drive Bend, OR. 541-323-3931. bendchi.com Tue-Sun 4-9pm Second place in Bend’s Best of Asian cuisine 2018 but, you be the real judge. Located in downtown Bend overlooking the Deschutes River, Chi serves modern Chinese cuisine and creative sushi rolls. 541-728-0345. chickenbonz.com Mon-Sat 11am-8pm This eatery’s menu is all about chicken: wings with your choice of more than 7 sauces, chicken tenders, burgers and Southern comfort sides like, coleslaw and okra—as well as a killer salad bar. 541-312-9393. chinadollbend.com Mon-Fri 11am-9pm, Sat Noon-9pm Chinese food eaten out of a styrofoam box in a cafeteria-like setting at this east side eatery. Reliable, and available for delivery. A classic. 541-728-0256. chowbend.com Daily 7am-2pm CHOW’s cozy cottage interior is charming and warm in cooler weather, while outdoor seating in the front and back of the restaurant is serene and shady. The dishes are prepared with fresh, local ingredients and the composition is inspired, featuring items such as the Eggs Blackstone, a creative twist on eggs Benedict, or the classic artery-clogging chicken fried steak. R E S TA U R A N T G U I D E 2 0 1 9 Mon-Thu 11am-9pm, Fri-Sat 11am-10pm Bend may not be the center of the pizza universe, but with three locations in Bend alone and slices too big to be contained on a single plate, Cibelli’s is at the center of Bend’s pizza universe. 541-385-8646. cibellis.com Mon-Thu 11am-9pm, Fri-Sat 11am-10pm. 541-797-0974. www.citizenrestaurantbend.com/ Daily 4-close Locally sourced and farm to fork. We’re exited to see what dishes Citizen will offer, opened since May 2018. 541-330-1133. croutonstogo.com Mon-Fri 11am-7pm, Sat-Sun 11am-3pm Voted Best Lunch and Salad in 2018. Fresh made soups, salads, sandwiches and combinations thereof are what’s for lunch at these west side and east side, counter-service restaurants. 541-728-0825. croutonstogo.com Mon-Fri 11am-7pm, Sat 11am-3pm Best of Central Oregon 2017: “Best Lunch/Salad” Soups, salads, sandwiches and a Combo Anything menu that includes all of the above for a great price. 541-317-1468. facebook.com/coreysbendoregon Daily 7am-close Breakfast in the front, pool, and whiskey shots in the rear at this classic downtown bar/diner. 541-385-3333. cruxfermentation.com Mon 4-9pm, Tue-Sun 11:30am-9pm, Summer Hours: Mon-Wed 11:30am-10pm, Thu-Sun 11:30am-11pm This is truly the living room of Bend: Set on a small hill, outdoor tables (and many indoor ones) faces postcard perfect views of Mt. Bachelor and the Three Sisters. Home to a handful of food carts. 541-668-1766. craftkitchenandbrewery.com Tue 5pm-10pm, Wed-Fri 11am-10pm, Sat 11:30am-10pm, Sun 11am-10pm Offering southern-inspired fare via their popular food cart, adjacent to their new brewery location. Comedy showcase on Tue and Sat. Brunch served on Sat and Sun. 541-797-6587. cubankitchenbend.com Tue-Fri 11am-8pm, Sat Noon-8pm Looking for authentic Cuban food? This is your place. Enjoy authentic Cuban coffee, lunch and dinner—flavorful Cuban dishes ranging from slow cooked pork and Cuban press to sides including plantains, yuca, black beans and rice..
(503) 780-1189 Mon-Wed: 11:30am-7pm, Fri & Sat: 11:30am-8pm, Sun: Noon-7pm Pub-style food with a Italian French twist. Infused beer, wine and liquors. Handmade pasta, risotto cakes, burgers, polenta, spicy pickled eggs, green salad, pasta salad, mezza plates. Everything is made from scratch with local ingredients. 9 No frills on the booths and tables, but the pho? As good as any in town! 541-382-9242. deschutesbrewery.com Sun-Thu 11am-10pm, Fri-Sat 11am-11pm Celebrating 30 years in Bend this past summer, Bend’s first brewery is still one of its best spots for food and drinks in the downtown area. Check out the weekly specials for a deal and every Tuesday, $1 per every pint sold is donated to a local charity. 541-382-4592. facebook.com/DandDBend Daily 6am-2am The oldest bar in Bend takes pride in the fact that its bartenders mix the stiffest drinks in town while also serving the best hangover food, no matter the time of day, including house-made staples like gravy, biscuits, corned beef and hash browns. Voted Best of Hangover Grub in 2018. 541-382-6141. facebook.com/pages/Dandys-Drive-In/102235203153424 Mon-Thu 10:30am-7pm, Fri 10:30am-8pm, Sat 10:30am-5pm One of the best burger and fry joints in town. Everything here is served to go, with roller-skating coeds delivering burgers to your car window. Wash it down with a chocolate malt. .
541-706-9949. thedogwoodcocktailcabin.com Tue-Sun 5pm-Midnight Best of Central Oregon 2017: “Best Cocktail Menu/ Best Bar” Voted Best Bar in 2018, this bar attracts Bend’s cool crowd, with an interior designed to feel like a rustic “cabin”. The artisan cocktails and tasty small plates (try the deep-fried mac and gruyere balls) are the true stars. 541-318-7886. dhchinese.com Mon-Thu 11:30am-9:30pm, Fri 11:30am10pm, Sat Noon-10pm, Sun Noon-9:30pm Double Happiness offers a lengthy menu of Chinese options including Szechuan, Cantonese, Mandarin and Hunan dishes. If you’re looking to fulfill your cravings for pot stickers and sweet and sour chicken, look no further. 541-241-8788. thedoughnutoregon.com Daily 6:30-9pm Delicious homemade doughnuts! New to the space: the Skyliners sandwich shop, starting at 11am—with donuts still available too! Open 7 days a week for lunch and dinner! Happy Hour 2:30 - 6pm every day A Truly Thai Experience is here in Bend. 541-306-3366. drakebend.com Sun 10am-9pm, Mon-Thu 11am-9pm, Fri 11am-10pm, Sat 10am-10pm Featuring locally sourced meat and produce in every dish, every day. Brunch served Sat and Sun. 541-213-2321. dudasbilliardsbar.com Sun-Thu Noon-Midnight, Fri-Sat: Noon-2am This family owned establishment is more than just a bar, it has billiards, shuffleboard, a full bar and ten taps- Oh and, eight kinds of Australian pies. Rent the tables by the hour and shark your friends; sounds like a classic night out on the town. 541-323-6243. facebook.com/DumpCityDumplings Tue-Fri 11am-9pm, Sat-Sun Noon-8pm One of Bend’s beloved food carts opened its own brick and mortar location above the Old Mill in 2018. Serving lunch and dinner with the classic steamed bun dumplings locals have come to love, as well as cold beer and new specials every week. 541-318-1492. elcaporalco.com Mon-Thu 11am-10pm, Fri-Sat 11am-11pm Traditional Mexican fare and generous margarita specials served in a family-friendly atmosphere. An extensive menu of super-sized burritos, enchiladas and more. A playground for the culinary enthusiast! The go to resource for food trucks, caterers, retail vendors, personal chefs and restaurant renovations! Coffee reinvented Can coffee still be a trend? We’ve seen nitro, cold brew and a desire to know where our beans come from—but there’s still room for the unexpected. Starbucks has opened Reserve Roasteries in top global cities; playgrounds for master roasters, mixologists and baristas to play with rare, single-origin coffees in an immersive space. The menu features concoctions like the nitro pepper jerky cold brew with malted fennel pepper syrup, topped with honey cold foam, pink peppercorn and a beef jerky skewer. We’ve seen this trend play out locally at The Riff Taproom. For a bit of fun, order The Riff cocktail. You pick a base spirit, decide if you want decaf or regular, then pick an adjective and the bartender will do the rest. We can’t get enough fat. With the popularity of the high-fat ketogenic diet, butter, as well as ghee—clarified butter traditionally used in Indian cuisine—are hot. That means more premium and compound butters (butter mixed with another ingredient) on the market. We’ve already seen truffle ghee on the shelves at Trader Joe’s and sea salt and maple cultured butter at Whole Foods. We’re hearing butter is the new bacon, so we’re keeping our fingers crossed they can be popular together. Oh wait, we can relax, bacon butter is already a thing. The plant-based revolution has a firm hold and veggies are getting puffed, pressed, popped and fried into crave-inducing morsels. We haven’t seen the end of the cauliflower craze, because it makes a great carb substitute, but it’s moved beyond pizza crust and into crackers, pretzels and chips. The beloved avocado has jumped off of fancy toast and into the bag. In Bend, Avolov is turning creamy avocados into crispy chips through dehydration. The chips are available in three flavors: chili and lime, pink Himalayan salt and Sriracha. Before we know it, we’ll be able to Google any vegetable with chip and it will exist. It probably does already. Try it and let us know. Sophisticated non-alcoholic beverages Adults who aren’t drinking booze want beverages flavored for adults. A refined option popped up from Seedlip which produces non-alcoholic distilled spirits that turn into a mature mocktail with the simple addition of tonic. Expect to see more growth with infused waters, traditional mixers like tonic and the shrub, or drinking vinegar category. Shrubs originated as a way to preserve fresh fruit with vinegar and the leftover liquid was used as a beverage. Remember reading that Portland Restaurants could get fined for serving plastic straws? That movement as well as others across the country are fueling creative utensil design beyond compostable flatware. Bakey’s, an Indian company, has developed edible spoons made from sorghum flour. Locally, Meli Wraps is completely skipping single-use with their reusable travel cutlery kit that includes a stainlesssteel spoon, knife, fork, chopsticks, straw and straw cleaner in an organic cotton pouch. 541-312-2022. dinewithdiablo.com Sun-Wed 11am-9:30pm, Thu-Sat 11am-10pm Traditional Mexican favorites and creative specialties, plus freshly handcrafted cocktails including magnificent margaritas. Early open (9:45am) on football Sundays; your favorite sports are always on in the Cantina. .
541-617-5952. facebook.com/elrodeo.cantina Sun-Thu 10am-10pm, Fri-Sat 11am-11pm Located just across from Grocery Outlet, this adobe-clad and fabulously retro eatery is great for families and groups. 541-480-7378. elklakeresort.net Surrounded by giant ponderosas and picturesque scenery, Elk Lake Resort is a perfect rustic retreat. The menu offers a variety of salads, burgers and comfort food favorites labeled as “country gourmet.” Opens for the summer May 24. 541-318-1111. facebook.com/esta-bien Daily 11am-8pm Formerly called Taco Stand, this tiny, neighborhood eatery is a locals’ favorite. The food is excellent, and the place is always jumping over the lunch hour. One more thing, their tamarind margaritas are to die for. 458-206-5973. elsanchobend.com Daily 11am-10pm In addition to a food truck that moves around town (often at Crux), El Sancho has a brick and mortar restaurant serving authentic street tacos with Northwest-inspired flavors, and margaritas that go down a little too easy. 541-385-9603. fixandrepeat.com Daily 7am-6pm Serving delicious superfoods-based juice, smoothies and macro bowls to power the lifestyles of active Central Oregonians. Daily Noon-10pm Creator of the popular Sweet-As, GoodLife brewing has incredible brews, a modern and inviting dining space, and an affordable menu. 541-728-0600. flatbreadpizza.com Sun-Thu 11am-9pm, Fri-Sat 11am-10pm Upbeat staff and a welcoming atmosphere make this Old Mill establishment an easy pick for lunch or dinner with or without the bambinos. Flatbread proudly boasts a certification from the Associazione Verace Pizza Napoletana (VPN) of Naples. .
541-617-6111 Mon-Fri 6-10am, 5-10pm, Sat-Sun 7-11am, 5-10pm Classic American dishes with a Pacific North West flair, in a Mountain Lodge idyllic setting. Full bar. Daily breakfast buffet weekdays 6-10am, weekends 7-11am. 1-877-541-2433. elevationbend.com Wed-Fri 11:30am-12:30pm & 5:30pm-7:30pm Enjoy the creations of aspiring chefs at Elevation, a student-operated, fine-dining restaurant for those enrolled in Central Oregon Community College’s Cascade Culinary Institute. Ingredients are locally sourced and a sustainable food policy is strictly enforced. 541-389-2888. greatharvest.com Mon-Fri 7am-5:30pm, Sat 7am-5pm Scones and muffins made daily from scratch using high-quality ingredients. Variety of sandwiches handmade daily. 13 Mon-Thu 11am-10pm, Fri 11am-11pm, Sat 8am-11pm, Sun 8am-9pm Sports outpost serving 18 rotating beers on tap (with two nitro taps), and all the big screen sports you can swallow! Still, the food is the real star at The Hideaway..
(BIY) Pub offers customers the opportunity to create a hand-crafted beer from scratch. Reserve a two-hour brew experience and get the chance to make your own in the professional grade copper kettles. Also, a great pub menu with an upscale flair. Peruvian, Mexican, Breakfast and Lunch 541-389-4652. holabend.com Tue-Sun 11am-10pm Diners will find plenty of dishes to recognize on the menu, but all will have been juiced with bold Mexican and Peruvian flair. Also, all three locations in Bend boast expansive tequila selections. Greg’s Grill is located in the Heart of the Old Mill district and has a spectacular view of the Deschutes. Sat-Sun Breakfast/Brunch served 8am-11am . 541-382-6962. facebook.com/HardysBurgersBend Tue-Fri 11am-8pm, Sat 11:30am-8pm, Sun 11:30am-5pm Burger, fish and chicken basket options, and traditional American sides—they all take a back seat to the hot wing options drenched in Hardy’s famous hot sauce. 541-389-8880. hkrestaurantbend.com Mon-Fri 11:30am-9pm, Sat-Sun Noon-9pm Serving Bend since 1976! For dinner, try the chow mein, pork noodles or the Pad Thai (not Chinese, we know, but still good and on the HK menu). Pacific Northwest, Fine Dining 541-318-8435. jackalopegrill.com Daily: 4:30-9pm Located in downtown Bend, Jackalope Grill boasts bold flavors of the Pacific Northwest, and Chef Tim Garling attended culinary school in France. This intimate restaurant is perfect to enjoy the warmth of good company. 541-647-2198. jacksonscornerbend.com Mon-Thu: 7am-9pm, Fri: 7am-10pm, SatSun: 7am-9pm “Best Family Restaurant” 2019 Best of the Nest 2018: “Best Family Dining” A locals’ favorite, Jackson’s Corner took home the Best Of award for Best Family Dining for two years running, this restaurant continues to elevate the casual dining scene in Bend year after year. 541-382-1751. jacksonscornerbend.com Daily 7am-9pm High quality, local ingredients grace the plates at Jackson’s all day long, with custom coffee creations, house baked breads and brick oven pizzas, organic salads and delicate pastas. Quality is consistently part of the recipe. A giant grass family area for family fun. 541-382-0118. www.jakesdinerbend.com/ Daily 6am-2pm Looking for big meals and fun times? The friendly service is as substantial as the ample servings at this longtime Bend eatery. 541-383-3000. On facebook. Tue-Wed 11:30am-1am, Thu 11:30am-2am, Fri-Sun 11:30am-Midnight Home to great drinks and large food portions, not to mention giant Jenga, Connect Four, Shuffle board and more! 541-647-6108. jerseymikes.com Mon-Sun 10am-8pm Hot and cold sub sandwiches, salads and wraps, now in two location! 541-633-7224. jimmyjohns.com Daily 10am-9pm Cold sandwiches served up with the freshest ingredients and freakishly fast delivery! Located in the Old Mill. 541-388-5094. joolzbend.com Daily: 4-9pm Featuring traditional Mid-Eastern flavors in a hip downtown environment creates a hookahinspired ambiance that you won’t find anywhere else in Bend. Oh and a little secret, it’s always happy hour at the bar. 503-740-3326. kanonacafe.com Mon-Fri 7am-5pm, Sat-Sun 7:30am-5pm Formerly Dakine Cafe, Kanona is an espresso bar and superfood cafe with vegetarian options..
541-323-2520. kayosbend.com Tue-Sat: 4pm-close This old-school steak and seafood restaurant has kept its prices affordable and its ambiance comfortable since its Bend opening in 1982. Happy Hour 4-7pm. Dinner served 5pm-Close. Kayo’s Dinner House & Lounge 415 NE Third St.
541-647-1624. larosabend.com Daily: 11am-close La Rosa’s excellent patio dining and authentic Mexican chow make it a locals’ favorite. The casual atmosphere means it’s acceptable to show up in your office clothes or your post-bike ride gear. 541-388-4636. kanpai-bend.com Daily: 4-9pm Diverse selection of delectable sushi rolls and exotic seafood paired with sake, and a wide variety of cocktails, make Kanpai a local favorite. 541-318-7210. larosabend.com Tue-Sun: 4pm-close La Rosa’s excellent patio dining and authentic Mexican chow make it a locals’ favorite. The casual atmosphere means it’s acceptable to show up in your office clothes or your post-bike ride gear. 541-318-6224. www.kebaba.com Mon-Sat 11am-close, Sun 11:30-close Continually winning the Best Of award for Best Ethnic, Kebaba offers big flavor and cozy ambiance that make this west side eatery an undeniable favorite. Homemade pitas and house-pickled onions ensure every detail of your meal is wholesome and delicious. 541-389-5625. kellyds.com Mon-Fri 10am-close, Sat-Sun 9am-close Generous portions served from a menu of delicious burgers, salads, soups and sandwiches. 541-388-2988. On facebook. Mon-Thu 11am-9pm, Fri-Sat 11am-9:30pm, Sun 11am-9pm Vast buffet focusing primarily on Asian cuisine, with a few American options thrown in. Plenty of room for large groups! 541-306-3995. laughingplanetcafe.com Daily 11am-9pm With a focus on nutritious and flavorful eating, Laughing Planet is a favorite for many Bendites looking for health-minded food. The sumac salad delights the taste buds and large appetites. Custom quesadillas, burritos, bowls, smoothies and more. 541-241-5306. lemontreebend.com Tue-Sun 8am-3pm International cuisine, locally sourced ingredients, and the Rookie of the Year in 2019. 541-323-5382. On facebook. Daily: 11:30am-close Asian fusion small plates and excellent drink selections. Happy Hour daily from 3-5pm. 541-797-0168. lifeandtime.com Daily 7am-9pm High quality, organic ingredients, food made from scratch and meat products that are organic and humanely raised—all in a quick-service space. Breakfast 7-10:30am. 541-241-7884. lamagiecafe.com Daily 7:30am-3:30pm Wonderful selection of European pastries, all day breakfast, and great lunch options. 541-312-2577. littlepizzaparadise.com Mon-Sat 11am-8pm, Sun Noon-8pm Take a pizza break to mix up your shopping experience at Cascade Village. Pizza served by the slice 11am-4pm daily. 541-633-7903. localslicebend.com Daily 4-9pm Focus on locally sourced ingredients for their artisan pies. Local Slice offers free delivery. Like country music with your dinner? This is your spot. Featuring Bend’s only mechanical bull operator, this spot also serves up big burgers, salads and sandwiches. 541-408-9142. looneybean.com Daily 7am-5pm Snugged up next to the Pine Tavern overlooking Mirror Pond, Looney Bean is the spot to relax and enjoy great coffee and light fare, in a cozy spot next to the river. 541-383-1402. losjalapenosbend.com Mon-Fri 7:30am-8pm, Sat 7:30am-5pm Burritos are the specialty at this locals’ favorite hole-in-the-wall. The burritos are tasty, massive and affordable. Happy Hour 2pm-6pm. 541-389-1410. On facebook Daily 11am-1:30am Spacious bar (connected to a laundromat via double doors to make that weekly chore so much more fun! ), two pool tables, pinball, and Lottery/ Keno available. Covered smoking patio with heaters for winter days and nights. 541-241-7567. On facebook. Mon-Fri 11:30am-9pm, Sat Noon-9:30pm Fans of The Curry Shack food cart will be happy to note that its owners now have their own brick and mortar restaurant, right in the heart of downtown Bend. A modern, fast-service Indian spot featuring samosas, pakoras, rice and curry bowls and Thali meals. Happy Hour daily 3-6pm. Visit our Facebook Page! 541-383-2697. themckaycottage.com Daily 7am-2pm A locals’ favorite breakfast and lunch spot, with a cozy cottage atmosphere and seasonal dining on the lawn. Voted best breakfast in Bend nine years running! 541-385-8772. mazatlancentraloregon.com Mon-Fri 11am-10pm, Sat-Sun 7am-10pm With locations in Bend, Prineville and Redmond, as well as others around the state, this eatery has the Mexican favorites at affordable prices. 541-383-5889. longboardlouies.com Mon-Sat 8am-8pm, Sun 8am-3pm With generous portions at an affordable price, Longboard Louie’s authentic Mexican food gives Bend the closest approximation of ambiance to a Baja taco stand. 541-382-5174. mcmenamins.com/OldStFrancis Daily 7am-Close Come for the atmosphere and the fun decor, and get solid menu items and longtime beer mainstays to boot. Five separate bars on location with latest closing at 1:30am daily. 541-241-1008. miosushi.com Mon-Thu 11am-9pm, Fri-Sat 11am-9:30pm, Sun 11am-8pm A relatively affordable sushi option, with dozens of menu items including rolls, tempura, teriyaki, noodles and bento boxes, right in the heart of the Old Mill. miyagiramen.com Daily 11am-close Continuing its tradition of bringing together rad businesses in one location, Miyagi Ramen is the latest addition to the Box Factory, open to the public in spring 2019. 541-317-4151. modpizza.com Mon-Thu 10:30am-10pm, Fri-Sat 10:30am-11pm MOD is the original superfast pizza experience – a pioneering fast-casual concept that puts you in the driver’s seat. Artisan-style pizzas and salads are individually sized, made on demand, and ready in just minutes. 541-318-8500. bendmongolianbbq.wordpress.com Sun-Thu 11am-9pm, Fri-Sat 11am-10pm Choose your own ingredients, but skip the cooking! Watch in awe as they are stir-fried on the iconic Mongolian “stone” grill. A delicious night of stir-fry—just how you like it. Delivery and carryout offered through Grub Hub. 541-640-8285. moosesisters.com Mon-Thu 11am-8pm, Fri-Sat 11am-9pm, Sun 11am-3pm Located in the Cascade Village Shopping Center, Moose Sisters touts itself as “dedicated to food with spirit.” Entrees include walleye, chicken, pasta and more. Check online for daily specials. 541-318-0989. mothersjuicecafe.com Mon-Fri 7am-5pm, Sat 8am-5pm, Sun 8am-3pm Homemade soups change daily, sandwiches are served on locally baked breads. Kombucha and espresso, and of course, the smoothies and juices (and juice cleanses!) the spot is named for. R E S TA U R A N T G U I D E 2 0 1 9 541-647-6880. mothersjuicecafe.com Mon-Sat 8am-5pm, Sun 8am-3pm From superfoods such as wheatgrass, goji and acai berries, to locally grown greens and whole grains like quinoa, brown rice and millet, there is no shortage of nutrient-dense foods on the menu at all Mother’s locations. 541-382-1870. mothersjuicecafe.com Mon-Sat 8am-5pm, Sun 8am-3pm Serving up the same nutritious, delicious juices and healthy fare the other Mother’s locations are known for with a few additional options for the downtown crowd. 541-388-8178. mountainsedgebend.com Mon-Fri 11-2:30am, Sat 9-1:30am, Sun 9-2:30am Everything’s great with ranch, right?! A spacious sports bar offering classic pub food, TVs and games including ping pong and pool. Breakfast served Saturday and Sunday till 1pm. 541-508-4884. namtokkitchen.com/ Mon-Sat 11am-9pm Northern Thai food, and Lao food from the region where the chef hails from. 541-322-8778. nancyps.com Mon-Sat 7am-3pm, Sun 7am-2pm Located near Newport Market, this spot serves yummy breakfast and lunch (soups and salads) and pastries too. 541-330-0444. newyorkcitysubshop.com Mon-Fri 10am-8pm, Sat 10am-7pm, Sun 10am-5pm Located in the Safeway complex on 3rd, this sub shop offers East Coast-style sandwiches named after New York City boroughs and landmarks. 541-306-6778. nextlevelburger.com Mon-Sat 11am-8pm, Sun 10am-8pm Next Level Burger leads the way in the 100 percent plant-based burger movement, with a whopping eight varieties of veggie burgers, dairy-free cheeseburgers and non-dairy (and yet delicious!) shakes, all without sacrificing taste profiles. Brunch served Sundays till 2pm! 541-647-6904. noithaicuisine.com Mon-Thu 11am-9pm, Fri 11am-9:30pm, Sat Noon-9:30pm, Sun Noon-9pm A solid pick for Thai in downtown Bend, where Asian flavors abound these days. With statues and art shipped directly from Thailand, this place also packs some ambience. Voted Best Asian Food 2017! 541-383-0889. northsidebarfun.com Mon-Wed 11am-10pm, Thu 11am-11pm, Fri 11am-Midnight, Sat 9am-Midnight, Sun 9am-9pm The draw here is the live music and the neighborhood bar feel, but the menu includes favorites including burgers, sandwiches, salads—and even an ample breakfast menu on Saturdays and Sundays. 541-318-9018. oldtownepizzabend.com Mon-Thu 11am-9pm, Fri 11am-10pm, Sat Noon-10pm, Sun 4-9pm A classic Bend pizzeria, close to downtown, serving up hot slices with classic toppings as well as full pies—with all the crust types you want. 541-312-4760. olivegarden.com Sun-Thu 11am-10pm, Fri-Sat 11am-11pm If you’ve been to one, you know what to expect at them all. Soup, breadsticks and passable pasta. 17 9:30pm, Sun Noon-9pm This family restaurant features local brews, pizza, sandwiches, salads and sustainably and locallysourced ingredients, as well as beer, wine and specialty cocktails..
541-317-5705. On facebook. Daily 6:30am-2pm A go-to for classic breakfast and lunch fare, right on Greenwood Ave on Bend’s eest side. Burgers, corned beef, and cocktails served all day. ontapbend.com Daily 11am-9pm Located in scenic Central Oregon, on Bend’s east side, On Tap is a wonderful place to enjoy a beverage, tasty meal and do it with a view. With over 30 tap handles, plus wine options, Oregon ciders and kombucha. The food trucks satisfy every palate. Enjoy live music relaxing on the covered patio with heaters, bar seating, a rustic fire pit and a large lawn. Did we say they have corn hole? 541-617-9600. parillagrillbend.com Sun 11am-8pm, Mon-Sat 11am-8pm (Summer hours open until 9pm) As they put it, Parilla has been “wrappin’ fatties since 2000.” Now with a second location on the east side. Voted Best Burrito 2017 and 2018! Best Cheap Eats 2018! Summer hours extended to 9pm Mon-Sat. 9:30pm, Sat Noon-9:30pm A low-key spot for Thai food, with a friendly staff and an abundant, affordable menu. And they deliver! 541-382-3517 Varies seasonally A cozy fireside bar to stop off at on the way back from Mt. Bachelor—or when you’re entertaining guests at the resort. Eclectic, Asian, Mexican, Lunch Spots, Breakfast and Lunch, Best of Central Oregon readers’ poll winners 541-617-9600. parillagrillbend.com Sun-Thu 11am-8pm, Fri-Sat 11am-9pm Copious amounts of vegetarian friendly burritos and wraps (or choose meat too! ), and the fish tacos that made this place a Bend staple. 541-749-1060. pastini.com Sun-Thu 11am-9pm, Fri-Sat 11am-10pm Pastini offers solid pasta dishes at relatively affordable prices, with a nice location on the Deschutes. 541-382-2929. phovietandcafe.com Daily 11am-9pm When you want pho— or any other Vietnamese noodle soup, for that matter, this spot is the top of my list! Usually humming with a lively crowd, Pho Viet has earned its reputation as a go-to for delicious noodles, rice and other delicious Vietnamese dishes. 541-317-0727. bendphoenix.com Sun-Tue 11:30am-8pm (Lounge till 9pm), Wed-Sat 11:30pm-9pm (Lounge till 10pm) A reliable lunch and/or dinner spot, with a comprehensive menu of American standards that are served up with an attention to detail not found in many of the corporate counterparts. Recommended: baby back ribs..
541-382-2972. facebook.com/PilotButteDriveIns Daily 7am-7pm This old-time Bend staple has the classic drive-in feel, as well as indoor seating. In addition to the burgers, the spot also serves breakfast until 11am. 541-382-5581. pinetavern.com Daily 11:30am-close As one of Bend’s old-school restaurant/watering holes in the downtown area, Pine Tavern serves up traditional American dinner options executed with precision—always adding a little something extra. Happy Hour: Mon-Fri 3pm-6pm, Sat-Sun 11:30am 4:30pm. Mexican food for his final, traveling to Mexico to study the food. He then moved to Seattle and worked at a few restaurants before moving back to Bend. Cordes said, “I always wanted to do a food cart. I was working at Blacksmith before I opened El Sancho. Basically, I got burned out and said, ‘I’m going to open a food cart and work for myself.’” Barvels got into the restaurant business in Minnesota when he was in college, getting a business degree. He bartended and barbecued but decided he wanted to move to the West Coast, specifically Portland, to get into the beer industry. He never found a good fit in beer and kept going back to restaurants, working front-of-house for six years, eventually moving to Bend and getting into the kitchen to learn more. Barvels talked often with his wife, Beth, about what business they could start together. When they met Cordes they thought they could help make El Sancho bigger. Using recycled materials to build their carts was already part of their business philosophy, but it made the taco shack fit in perfectly at the Pakit yard. But not long after their move-in, Pakit closed. The Sancho team tried staying for six months, but eventually left their junkyard oasis for the lawn alongside Crux Fermentation Project. At the brewery, business picked up. “We opened the restaurant because we needed a prep space for the food cart,” said Cordes. “We thought we’d find a space, open it and hopefully pay the rent. We didn’t really think of turning it into what it is.” The brick-and-mortar Taco Shop location on Dekalb Avenue came with Mexican heritage: it was previously El Burrito and Rose’s Cocina. While the new El Sancho restaurant was under construction, Cordes and Barvels met Carmen Garcia, a cook who had worked in the building since 1992. Today, Garcia is Sancho’s main prep cook. Barvels said, “She’s our top dog, an amazing cook. She’s just brought her own thing into it—she’s from Mexico, in Veracruz.” At the food cart El Sancho was simply tacos and sides, but with Garcia at the restaurant, the menu has expanded, Most of the specials are Garcia’s. “She’s shaped our menu almost as much as we have,” said Cordes. Meanwhile, a rocket stove is the backbone behind the food. “Rocket stoves make us able to do what we do,” said Cordes. “They are designed for third-world countries, orphanages and schools. It’s a big 25-gallon kettle that’s wood fired. It’s the most efficient wood burning stove on the planet.” The rocket stove allows cooking in huge batches over high heat, the exact combination needed for El Sancho’s style of meat. 541-312-9349. pisanosbend.com Tue-Fri Noon-9pm, Sun Noon-8pm Pisano’s serves delicious, award winning pizzas baked in a wood-fired oven, like they do in Italy. Gluten-free options. 541-330-9093. pizzamondobend.com Sun 11:30am-9:30pm, Mon-Thu 11am9:30pm, Fri-Sat 11am-10pm. Summer hours: open to 10pm Sun-Thu and 11pm Fri-Sat Best of Central Oregon 2017: “Best Pizza” Voted Best Pizza in our Best Of readers’ poll 20 years running, Pizza Mondo has been serving up Bend’s most loved pizza since 1998 and it continues to do it their way, while keeping an eye on the needs of the pizza patron. Options include gluten-free, home delivery, lunch specials (open-3:30pm) and well-loved After Mountain (3:30pm-5:30pm )and Twilight Specials (after 8pm). 541-317-5717. plankersandwiches.com Mon-Sat 10am-5pm, Sun 10am-4pm (Summer hours: Daily 10am-5pm) Want a great sandwich in a casual environment in downtown Bend? This is your jam. Voted Best Sandwich in 2017 in our Best Of readers’ poll. Try the Italian sub for a delightful, albeit cheesy and kinda sinful, treat. Another staff pick: the pork belly sando. Fri-Sat 11:30am-10pm Portello Wine Cafe is a lovely spot to have a light bite all year round. The menu features flavors from Italy, France and the Mediterranean. Patio seating and an airy, attractive interior of brick and cherry give Portello a Euro-industrial feel. 541-668-7699. beplantd.com Mon-Sat 8am-8pm A sustainably sourced, Nepalese-inspired menu from the chef who owns the food cart, Himalayan Bites, located in the former Fearless Baking space. 541-323-3282. platypuspubbend.com Tue-Sat: Noon-10pm This locals-mostly pub features a pub menu with higher-end entrees including pastas and ribs. More on the traditional side, Platypus offers burgers and hot sandwiches. But beer is the main attraction with a 15-tap rotating selection and coolers full of choices upstairs in The Brew Shop. www.thepodski.com All days 11am-7pm A popular, hoppin’ food cart pod near the Box Factory, between Old Mill and Downtown Bend with a rotating tap list of craft beer, canned classics, wine and cider. 541-306-6796. pokerow.com Mon-Thu 11am-8pm, Fri-Sat 11am-8:30pm, Sun 11am-4pm Build your own bowl or burrito of fresh ingredients at this new establishment, founded by the passionate team behind Bend’s award-winning 5-Fusion and Sushi Bar. .
541-388-1580. portofsubs.com Mon-Fri 8am-8pm, Sat 10am-6pm, Sun 10am-5pm Fresh subs, wraps and grillers sliced to order on Bend’s growing north side. Bar / Pub / Lounge, Contemporary Northwest, Breakfast and Lunch 541-388-2337. thepourhousegrill.com Sun-Thu 11am-9pm, Fri-Sat 11am-10pm Solid fare amid a backdrop of many big TVs and smiling service. The Pour House is a go-to for watching the next big game and indulging in ribs, wings, pizza and burgers. 541-706-9308. primalcutsmeatmarket.com Daily 10am-7pm Along with market meats, get delicious meats ready to eat, including a charcuterie plate, pulled pork, sandwiches and more. A carefully chosen selection of high quality meat products from livestock that’s been sustainably raised in the Pacific Northwest. Don’t forget to get your growler filled! 541-647-2343. raganellispizza.com Daily 11am-9pm Eat in, take one away or bring a take and bake pizza home for later. Try the calzones, salads, wings and 10 taps of beer and cider and a variety of to-go beverages. Outside seating and lunch specials. Wednesday 4-6pm is “Local Night” (two discounted beers). listen to the action at the nearby Les Schwab Amphitheater concerts. 541-312-2800. On facebook. Mon-Sat: 11:30am-Closing, Sun 1:30pm-9:30pm A neighborhood friendly place with a loyal following. Beers on tap as well as bottled drinks to go. Happy Hour daily from 4-6pm. 541-317-2885. awbreyglen.com Tue-Sat 11am-8pm, Sun 9am-8pm, Hours subject to seasonal changes The public restaurant at the private Awbrey Glen Golf Club is geared toward the post-greens crowd, but offers a relaxing and out-of-the-way spot for others too. Sunday Brunch 9am-Noon. Open seasonally. 458-206-0825. www.riffcoldbrewed.com Mon-Fri 10am-8pm, Sat-Sun 8am-8pm This innovative tap room puts a spotlight on cold brewed coffee. Get ready to experience coffee in bold, new ways -with a 30-tap tower to choose a brew (or beer or kombucha) that fits you. This isn’t just another coffee spot. 541-388-6783. On facebook. Sun-Thu 6am-Midnight, Fri-Sat 6-3am A classic taco shop with tacos, burritos and more. 541-389-9888. reddragonchineserestaurant.com Mon-Fri 11:30am-9pm, Sat-Sun Noon-9pm A mix of cuisines from Szechuan, Hunan, Mongolian, Cantonese and American inspirations, served up in generous portions in a casual environment. Lunch specials served till 3pm! 541-385-6777. riverpigsaloon.com Sun-Tue 11-12:30am Wed-Sat 11-2am One of the newest additions to The Box Factory complex, The River Pig is a hip bar with a sizable patio, serving pub fare including burgers, sandwiches, salads—and of course, nachos. 541-318-8177. rockindaves.com Mon-Sat 7am-2pm, Sun 8am-2pm If you thought Rockin’ Dave’s was just a bagel spot, you’ve been missing out. The back side of the compound is a cozy bar with a modern feel, with tasty treats and great drinks. Killer dishes for both breakfast, lunch and dinner..
541-383-5094 Mon-Fri 11am-6pm All-vegan restaurant serving comfort food—sandwiches, noodle bowls, rice bowls, etc. Mostly takeout, with limited seating. Opening in April 2019. 541-389-2963. www.roundtablepizza.com Sun-Thu 11am-10pm, Fri-Sat 11am-11pm Family-friendly Round Table has been serving innovative pizzas for over 51 years. 541-388-2582. tetherow.com Daily 7am-Close Incredible views and and an upscale atmosphere in one of Bend’s newest and most affluent neighborhoods on the way to Mt. Bachelor, with delicious and locally focused eats and drinks. riversplacebend.com Daily 11am-9pm This food cart pod is new to the Bend scene and has quickly gained a gang of loyal followers. With great fire pits, plenty of room to roam and an indoor beer garden, there’s lots to love here. 541-678-5368. facebook.com/SaludRawFood Mon-Sat 9:30am-4pm Healthy, raw food breakfast and lunch items in downtown Bend. Winner of Best Vegetarian in our 2017 Best Of readers’ poll. 541-382-3916. On facebook. Daily 6am-2:30pm A classic diner serving breakfast and lunch. 541-317-5980. sholotzskysoregon.com Sun-Wed 8am-9pm, Thu-Sat 8am-10pm International franchise restaurant chain offers fresh-baked bread, oven-toasted subs, paninis, soups, pizza and fresh tossed salads. 541-306-3486. shinseibend.com Mon-Thu 11am-9pm, Fri 11am-9:30pm, Sat 11:30am-9:30pm, Sun 11:30am-8:30pm Tucked in among other shops at Cascade Village Shopping Center, Shinsei offers a long list of sushi rolls, nigiri and more. A nice wine list and sake list too. 541-385-8898. sidelines-bend.com Mon-Sat 8-1am, Sun 8am-11pm Dozens of flat screens, breakfast all day, and friendly staff, this is the place to come watch the big game or grab a bloody to cure your hangover. With a huge pub menu, it’s a favorite Bend sports bar, to be sure. 541-388-8331. silvermoonbrewing.com Sun-Thu 11:30am-10pm, Fri-Sat 11:30am-Midnight Made-in-Bend beer and daily specials! But its’s the consistently amazing menu that includes everything from street style tacos, a burger lineup to die for and fresh cut fries that keep locals coming back for more! Dig in to house-made sauces and experience the best frickles in town! 541-647-2323. thesparrowbakery.net Mon-Fri 7am-5pm, Sat-Sun 7am-3pm Always bustling, this second location and home of Bend’s beloved Ocean Roll is always a good place to grab a morning pastry and coffee. It also has lunch items such as sandwiches and pretzels. 541-390-0946. sporkbend.com Sun-Thu 11am-9pm, Fri-Sat 11am-10pm Spork whips up innovative rice bowls, Korean tacos, Thai-style salads and more from their Newport Avenue location. Service Dog friendly! Fine Dining, Pacific Northwest, Contemporary Northwest 541-388-2582. tetherow.com Wed-Sun: 5-10pm Located in Tetherow, Solomon’s offers Northwest items including pheasant, elk and seafood, thoughtfully prepared alongside vegetarian creations and decadent desserts. 541-385-5252. soorahkoreancuisinebend.com Daily 11am-9pm The only spot in Central Oregon serving authentic Korean food—plus sushi! Located in the Shillo Inn & Suites. American, Bar / Pub / Lounge, Breakfast and Lunch 541-388-4081. starscabaret.com Mon-Sat 11-2am, Sun 4pm-2am Classic cheeseburgers and other affordable lunch and dinner options, with entertainment the likes of which you won’t find many other places in Bend. Except maybe your bedroom. 541-383-8182. On facebook. Mon-Thur 5pm-Midnight Fri-Sat 5pm-1am Sun 6pm-11pm Over 200 whiskeys! A full menu ranging from barbecued braised shrimp to hand cut top sirloin in a Crimini mushroom sauce. Yes, beer and wine too! 541-318-3838 Sun-Thu 11am-9pm, Fri-Sat 11am-9:30pm The newest addition to Japanese cuisine in downtown Bend, try handmade nori rolls, sashimi, yakisoba and more. 541-647-1402. strictlyorganic.com Daily 8am-8pm Serving up organic and fair trade coffee in the Old Mill District with occasional live music. 541-330-6321. thesparrowbakery.net Daily 7am-2pm Home of Bend’s famous Ocean Roll and other delightful pastries, as well as coffees and teas, breakfast sandwiches and lunch-type sandwiches too. 541-370-60601. strictlyorganic.com Mon-Fri 6am-8pm, Sat 6am-6pm, Sun 7am-6pm The original organic roaster, Strictly O has been serving up freshly roasted fair trade coffee from its Bond Street locale for the better part of a decade. They also offer a mean breakfast burrito and a full lunch menu at the Bond Street location. Breakfast and Lunch, Yoga & Pilates 541-678-3139. sunnyyogakitchen.com Mon-Fri 11am-3pm, Sat 10am-2pm What better way to round out a yoga sesh than some delicious, nutritious food afterward? Yummy bowls, salads, sandwiches, delicious juice medleys and even beer, wine and sake. 541-408-9377. s unriverbrewingcompany.com Sun-Thu 11am-10pm, Fri-Sat 11am-11pm Serving fresh beers on tap and a menu of delectable pub fare, including vegetarian and gluten free menu items and a focus on locally sourced, fresh products. Mexican, Breakfast and Lunch 541-647-1043. tacodelmar.com Mon-Fri 10am-8:30pm, Sat-Sun 11am-7pm A franchise taco and burrito joint with many locations throughout the Pacific Northwest. 541-318-6243 Mon 6:30-3am, Tue 7am-3am, Wed-Thu 6am-3am, Fri-Sat 6am-4am, Sun 7am-3am Located in what is something of a mecca for Mexi eats on the west side, Taco Salsa offers authentic burritos and tacos all day and all night. Munchies! 541-330-0774. tajpalacebend.us Daily Lunch Buffet 11am-2:30pm, Daily Dinner 5-9pm Calling Central Oregon home for two decades, go for the lunch buffet or for dinner, when you’ll find dishes such as Tandoori chicken, Tikka Masala, veggie options and dal curry. 541-312-2009. facebook.com/pages/ Super-Burrito Daily 10am-8pm Yummy, authentic burritios and friendly service! 541-388-5667 Mon-Sat 9am-8pm, Sun 9am-3pm Often with soccer (er, futbol) games on TV, and with packed burritos (as the name suggests, and they deliver), Super Burrito is about as close as Bend gets to standard, authentic, no frills, plenty-of-taste Mexican food. East and west side locations. 541-815-0180. On facebook. Mon-Sat 9:30am-7:30pm There’s really nothing not to like about Taste of Thailand, from the funny and friendly service to the quality Thai cuisine to the incredible value. Drive through, no fuss lunch or dinner. 541-383-9033. bendchinese.com 11am-9pm Tue-Fri, 4-9pm Sat-Sun. Closed Monday No surprises here: This spot serves up the fried rice, pot stickers, stir fries and other Chinese dishes you’ve come to expect from eateries such as these. Available for delivery. 541-706-9317. bendcatering.net Mon-Fri 10am-6pm A catering company that also serves grab and go lunches at its two locations in Bend and Redmond. 541-317-1112. tacodelmar.com Mon-Fri: 10am-8:30pm, Sat-Sun 11am-8pm A franchise serving burritos and tacos. This is not adventurous eating for most Bendites, but it’s convenient. Organic! Gluten Free, Plant Based cafe. 541-318-0588. bendblacksmith.com Mon-Thu 4-10pm, Fri-Sat 4pm-11pm, Sun 4pm-10pm The ambiance sets it apart from the start. Housed in the historic Pearson blacksmith building right in the heart of downtown, the feeling here is pure Bend. The menu matches the rustic but refined surroundings. 25 fering a lively patio with views of Mirror Pond and the Deschutes River. 541-389-2884. thewineshopbend.com Tue-Thu 1-9pm, Fri-Sat 1-11pm, Sun Noon-7pm The Wine Shop and Beer Tasting Bar revolutionized the wine and beer industry in Bend by letting customers try before they buy bottles. In addition, this spot serves up charcuterie and other snacks. 541-640-8257. washingtonbend.com Mon-Thu 11am-9:pm, Fri 11am-10pm, Sat 10am-10pm, Sun 10am-9pm Washington quickly emerged as a locals’ spot that serves up a solid double cheeseburger and other more inventive Northwest cuisine. Named Best New Restaurant in the Source’s annual Restaurant Guide for 2017. Good cocktails, friendly service and a great location make this one a winner. 541-678-5740. thecapitolbend.com Daily: 5pm-2am Descend below ground to this fun restaurant, bar, play zone and venue which serves appetizers, dinner, great drinks and hosts a variety of performances. 541-610-4969. facebook.com/TheLotBend Daily 11am-9pm A favorite food cart pod on Bend’s west side. 866-320-5024. pronghornresort.com Daily 7am-9pm Located at Pronghorn Resort, this restaurant offers pub-style food, brews and cocktails. Get surf and turf, salads, soups, and at lunch, sandwiches. 541-797-2178 whitewatertaphouse.com Mon-Tue 3-10pm, Fri 3-11pm, Sat Noon-11pm. What’s the main draw at this downtown Bend spot? You guessed it—the taps. The White Water has many, and they’re often filled with hard-tofind beers. Sushi and poke pop-up at least twice a week! 541-797-6136. thepickledpig.com Tue-Thu 10am-3pm, Fri 8am-8:30pm, SatSun 8am-3pm Delicious, award-winning BBQ brisket and other delights, on the far east side at the Bend Airport. Enjoy a super meal and watch the planes take flight! Live music Friday and Saturday nights! 541-797-2178 whitewatertaphouse.com Mon-Tue 3-10pm, Fri 3-11pm, Sat Noon-11pm. What’s the main draw at this downtown Bend spot? You guessed it—the taps. The White Water has many, and they’re often filled with hard-to-find beers. Sushi and poke pop-up at least twice a week! 541-383-3502. facebook.com/timberseastbend/ Mon-Fri 11-1am, Sat-Sun 9-1am Enjoy an awesome selection of appetizers along with local brews and mixed beverages. 2570 NE Twin Knolls Dr.
541-323-8888. tomobend.com Mon-Fri 11:30am-2pm, 4pm-close, Sat-Sun 4pm-close The private tatami room is the highlight of the space, offering you a cozy lunch or dinner spot. With both traditional and modern Japanese dishes, from sushi and sashimi to noodles such as Udon and Ramen, get many Japanese favorites. 541-388-5590. toomiesthaibend.com Tue-Fri 11:30am-2:30pm, 4:30-9pm, SatSun Noon-2:30pm, 4:30-9:30pm One of Central Oregon’s favorite Thai restaurants is busy for both lunch and dinner. Dinner is served family style with heaping portions of Thai classics. 541-383-2025. facebook.com/pages/ Tortillaria-Reyes/113891155309707 Daily 10am-10pm A locals’ favorite for the tacos and for other Latin American sundries. 541-306-6825. www.trattoriasbandati.com/ Mon-Thu 5-8pm, Fri-Sat 5-9pm Chef Sbandati specializes in authentic Italian cuisine, importing the best that Italy has to offer and using the finest local produce and meats, insuring an incredible meal that fuses Central Oregon to Europe. Chef Juri Sbandati was born and raised in Tuscany, but his menu focuses on all of Italy. 541-382-4810. facebook.com/pages/ Westside-Tavern/121736301199270? rf=126285010758769 Daily 9-2am A classic west Bend spot where locals go to let loose, and sometimes catch the surprisinglygood menu. 541-389-0151. wholefoodsmarket.com Daily 8am-9pm A grocery store with grab and go. grill and deli items. 541-639-4776. worthybrewing.com Sun-Thu 11:30am-9pm, Fri-Sat 11:30am-10pm Worthy makes solid beer, American-style craft beers. The sunny and bright dining area is made so by the west-facing, floor-to-ceiling windows. Throw in the large patio and fire pits and Bend’s newest brewery makes one of the best spots to enjoy a summer sunset—and grab some solid pub fare too. 541-678-6268. worthytapstacos.com Sun-Thu 11am-9:30pm, Fri-Sat 11am-10:30pm Located in the Brooks Street alley, this new-ish spot serves up yummy tacos, Worthy Brewing beers and margaritas, too. 541-668-6344. wildoregonfoods.com Wed-Thu 11am-8pm, Fri 11am-9pm, Sat 9am-9pm, Sun 9am-8pm A delicious new deli featuring sandwiches, salads, charcuterie and other delights inspired by the bounty of the Northwest. Restaurant, bar and full menu, plus catering! wildrootscoffeehouse.com Mon-Fri 5:30am-6pm; Sat-Sun 7am-6pm A high-end coffeehouse for the denizens of NE Bend! (You heard it here peeps, the NE side is blowin’ up.) Delicious coffees from Stumptown Coffee, loose leaf teas and pastries. Food Carts, Breakfast and Lunch, BBQ wubbasbbqshack.com Mon-Thur 11am-9pm, Fri-Sat 11am-10pm Authentic and traditional smoked Kansas City style BBQ using a combination of hickory, oak and apple wood to enhance full-flavored meats. Located in the River’s Place food lot! 541-382-2007 Daily 10am-10pm Take-out and delivery chain whose Californiastyle pies include organic ingredients and vegan varieties. 541-382-0441. wildrosethai.com Sun-Thu 11am-9pm, Fri-Sat 11am-10pm Sorry folks, no Pad Thai here. What you will find at Wild Rose is delicious and reasonably priced Northern Thai dishes, including house-made curries, crispy duck dishes and one of the best Tom Kha soups in town. Crazy popular at lunchtime, but service—and the food—is always spot on! 541-312-2899. zydecokitchen.com Mon-Thu 11:30am-9pm, Fri 11:30am-10pm, Sat 5-10pm, Sun 5-9pm Best of Central Oregon 2017: “Best Fine Dining” With upscale sophistication, flawless dishes and top-shelf drinks, Bend has a gem in this restaurant. Fusing spicy Creole cuisine with elegant Northwest simplicity, the kitchen is consistently impressive. 541-322-2154. valentinesdeli.com Mon-Sat 10am-4pm This locally owned and operated sandwich shop serves up delicious sandwiches, soups, salads and desserts. Using local and organic ingredients whenever possible, this hip spot aims to make healthy food that is as delicious as it is good for you. 541-382-6411. victoriancafebend.com/ Daily 7am-2pm The breakfast and lunch spot in the renovated old house at 14th and Galveston is undeniably popular—just ask the droves of people waiting for tables on any given weekend morning. Staff pick: French toast and a Bloody Mary. Co-owner and co-chef Betsy McDonald is outside The Lemon Tree when I arrive, arranging chairs and adjusting the delicate flowers that adorn each table. It’s been raining off and on in Bend this week, but McDonald is sure people will dine outside anyway. With the popularity of this downtown breakfast and lunch spot, I’m pretty sure she’s right. Since its opening, The Lemon Tree has seen a steady stream of visitors, and nearly a year in, a host of loyal followers—making it a natural choice for our Rookie of the Year. The location, on the corner of Bend’s Franklin Avenue and the Brooks Street alley, certainly has something to do with their success—but the varied, international menu and the care the team puts into its drinks, pastries and overall presentation also helps. 541-595-6420. holabend.com Tue-Thu 3-9pm, Fri-Sun Noon-9pm closed in winter Housed in a wooden cottage with a stone chimney and screened-in porch just yards from the Metolius River, the former Kokanee Cafe is now an Hola Mexican/Peruvian restaurant. 541-536-3998. hunanchineselapine.com Tue-Sun 11:30am-8pm Hunan is one of the best restaurants to chow down at in La Pine. Be careful what time you decide to go in because on Sundays their dining room is jam-packed with hungry customers. 541-241-0980. On facebook. Mon-Sat 10am-4pm A nice little restaurant cafe nestled in La Pine—a perfect place to stop for a coffee break. Typical breakfast fare, including a Belgian waffle and biscuits and gravy. Lunch menu consists of sandwiches, burgers and a kids menu. 541-536-2288 Sun-Thu: 11am-9:30pm, Fri-Sat: 11am10pm Massive food portions and good value. 541-536-5181. On facebook. Daily 7am-3pm Standard American fare, from pancakes and eggs to burgers and sandwiches. Try their homemade coleslaw, macaroni and potato salad. Daily food specials—from Taco Tuesday to Fish and Chips Friday. The fowl decor lives up to the “Redrooster” name. 541-536-2240. paulinalakelodge.com Winter hours (Dec-Mar): Fri-Sat 11am8pm, Summer hours (May-Sep): Wed-Sat 11am-7pm, Sun 11am-5pm A rustic cabin feel with classic dishes, including prime rib dinner Saturdays. Call ahead to check on availability and to make a reservation. 541-536-1964 Sun-Thu 11am-8pm, Fri-Sat 11am-9pm Pizza, chicken and spuds, hot sandwiches, salad bar, beer on tap — and an arcade, naturally. Daily 11am-10pm Upscale cuisine at the first brewpub in Madras—a long-awaited spot for the town! 541-948-2367. www.wildbleumadras.com Thu-Sat 4-10pm A cute gathering spot with food and drinks, and a nice outdoor space. 1-888-976-4860. brasada.com Daily: 7am-9pm Casual yet upscale in atmosphere, the space is communal and classy, like the living room in your best friend’s vacation home. Sandwiches, flatbreads, steaks and chicken. 888-976-4860. brasada.com Open seasonally; call ahead for hours The often-rich and varied menu of seasonal and Northwest fare is good, but the views, as seen from the expansive windows that look west upon the Cascades, are what really make this place special. 541-447-6177 Mon-Thu: 11am-2pm, 4-8:30pm, Fri 11am2pm, 4-9pm, Sat 4-9pm, Sun 9am-1:30pm, 4-8pm This Western-styled restaurant has been around since the 1930s serving up steaks, seafood and other comfort grub like fettuccine or the whiskey chicken with ham in a light cream sauce. The giant desserts are sure to cure your sweet tooth. 541-447-3203. dillonsgrill.net Sun-Thu 11am-9pm, Fri-Sat 11am-10pm Though there’s a certain deep fried essence in the air, Dillon’s serves up a good variety of bbq staples like pulled pork and ribs as well as big burgers. Fourteen beers on draft including several regional microbrews. Mon-Thu 11am-9pm, Fri-Sat 11am-10pm, Sun Noon-9pm This family restaurant serves up all your Chinese favorites. Some Chinese beer options available as well. 541-447-7437. www.mazatlancentralor.com Mon-Fri 11am-10pm, Sat-Sun 7am-10pm With locations in Bend, Prineville and Redmond, as well as others around the state, this eatery has the Mexican favorites at affordable prices. 541-233-0883. On facebook. Mon-Sat: 11am-9pm, Sun 11am-8pm Visiting Prineville? This is the place to grab a pint and a plate of classic American fare. Formerly Solstice Brewing Company, the brewery changed hands in 2015. 541-526-1782. brickhousesteakhouse.com Daily: 4pm-close Like its sister restaurant in Bend, the Brickhouse Redmond serves prime steaks produced locally in the Northwest. 541-548-3731. checkerspub.com Tue-Thu Noon-close, Fri-Sat Noon-close, Sun 11am-close A Redmond staple, Checkers serves up delicious sandwiches, burgers and entrees, including their popular French Philly topped with cheese, grilled mushrooms, onions, peppers and served with au jus and a side of homemade french fries. 541-923-7388. cibellis.com Mon-Thu 11am-9pm, Fri-Sat 11am-10pm Italian fare for the Redmond crowd. 541-923-1795. cascadelakes.com Sun-Thu 11am-9pm, Fri-Sat 11am-10pm Roll-away glass walls, outdoor picnic-table seating and horseshoe pits make it a must for any Cascade Lakes fan. Pub fare you’d expect—burgers, nachos, fresh salads—served with the beers you love. Great food, great prices. Try the Texas Toast Steak Dip or the Ahi Sashimi for a break from the norm. 541-923-4777. applebees.com Mon-Thu 11am-10pm, Fri-Sat 11am-11pm, Sun 11am-10pm Classic American food. Baby back ribs, burgers, salads and happy hour everyday of the week. 541-923-2271 Tue-Sun 11am-9pm Best of Central Oregon 2017: “Best BBQ” Living up to the title as Bend’s Best BBQ since 2005, as voted by the Source’s reader poll, Baldy’s meats are tender, delicious and smoked to that sweet spot between crisp and juicy; literally mouth-watering. 541-526-1871. On facebook. Mon-Sat 11am-11pm, Sun 11am-10pm Equipped with seven televisions tuned to whatever sporting event you’re likely looking for, the Clock Tower Pub is one of the few spots in north Redmond to catch the games. Coho Coffee Co. 306 NW 7th St.
541-526-0368. cohocoffeeco.com Mon-Fri 7am-4pm, Sat 7am-2pm, Sun 8am-2pm Breakfast and lunch all day, including breakfast sandwiches, salads, quiche (gluten free with no crust), wraps, parfaits and coffee cake. 541-316-2002. diegosspiritedkitchen.com Daily 11am-10pm Winner for Best Dinner in our 2017 Best Of readers’ poll (and 2nd for Best Lunch)! After several years of service in historic downtown Redmond, Diego’s Spirited Kitchen consistently produces delicious meals from scratch, which has earned them a loyal following. 541-408-2742 Sun-Thu 11am-8pm, Fri-Sat 11am-9pm New this winter to Redmond — General Duffy’s will include four to five food trucks and a beer and wine bar. Enjoy a variety of delicious foods in a fun family atmosphere. American, General Fare, Bar/Pub/Lounge odemtheaterpub.com Daily, 30 minutes before movie times Dinner and a movie in Redmond! Two 40-seat theaters, plus a classic menu of pizza, burgers, sandwiches and salads, and a full bar. onestreetdowncafe.com Daily 7am-3pm A cozy cottage spot, serving classic breakfast all day and lunch including sandwiches and salads. 541-516-1128. greenplowcoffee.com Mon-Fri 7am-4pm, Sat 8am-4pm Winner for Best Coffee Shop in Redmond in our 2018 Best Of readers’ poll! Locally owned coffee house in Redmond with coffee beans roasted in-house. 541-504-6424. redmartiniandwinebar.com Tue-Sat 4pm-close With a blast of art deco flavor in downtown Redmond, the Red Martini offers European and Mediterranean-inspired dishes. 541-526-5989. www.hideawaytavernredmond.com/ Mon-Thu 11am-9pm, Fri 11am-Close, SatSun 8am-Close A locally-owned restaurant and watering hole located in the heart of Redmond, featuring plenty of TVs to catch up on your sportsing endeavors. And just in case you’re wondering, the original Dawg House is in Prineville. 541-923-7290. holabend.com Sun-Wed 11am-9pm, Thu-Sat 11am-10pm Diners will find plenty of dishes to recognize on the menu, but all will have been juiced with bold Mexican and Peruvian flair. Also, all five locations boast expansive tequila selections. 541-316-5262 Daily 11am-9pm Bend Burger Company—in Redmond! Brewery / Brew Pub, Bar / Pub / Lounge 541-923-4200. rimrocktaphouse.beer/welcome Daily 11am-10pm Rimrock Taphouse is an upscale pub featuring a warm and friendly atmosphere. Heck, their website even describes the place as the bar from “Cheers.” Serving craft beers, ciders and wines. 541-516-8544. wildridebrew.com Daily 11am-10pm Wild Ride proves Bend doesn’t have a monopoly on great beer and cool atmosphere in Central Oregon; it can happen in Redmond, too. With great food carts outside, there’s plenty to enjoy at this spot. 541-548-9964. madalinesgrill.com Mon-Fri 11am-10pm, Sat 6am-10pm, Sun 7am-10pm This bustling Mexican-American bistro is conveniently located on Redmond’s main drag, yet remains one of the town’s best-kept secrets for family dining. The fruition of owner Pablo Pena’s dream, Madaline’s (named after his daughter) features an eclectic menu of hearty recipes gleaned his rich and varied culinary experiences. While the emphasis is certainly Mexican, French crepes are available on the breakfast menu, Italian influences can be found in the many pasta dishes, Thai spices distinguish other dishes. 541-923-7426. mazatlancentralor.com Mon-Fri 11am-10pm, Sat-Sun 7am-10pm Hearty Mexican flavors. 541-548-2343. snocapdriveinredmond.com Daily 11am-8pm Yummy burgers and more in that classic drive-in setting that takes you back in time. 541-548-2512. tateandtatecatering.com Mon-Fri 9am-5:30pm, Sat-Sun 9am-4pm A catering company that also serves grab and go lunches at its two retail locations in Bend and Redmond. 541-504-9373. www.koboldbrewing.com Sun-Wed, Noon-9pm. Thu-Sat, Noon-10pm Serving Kobold beers and light fare, with food trucks outside. Deli, Breakfast and Lunch, New American 541-548-4400. newyorkcitysubshop.com Mon-Sat 10am-7pm, Sun 10am-5pm Offering East Coast-style sub sandwiches named after New York City boroughs and landmarks. 541-548-4220. niblickandgreenes.com Daily: 4pm-close This golf-themed pub at Eagle Crest Resort offers a full dinner menu with an array of Northwest menu items including steaks, pasta and seafood dishes. Mon-Thu: 11am-3pm, Fri: 11am-4pm, SatSun: 8am-4pm Burgers, sandwiches, soups and salads. 541-279-7005. smithrockbrewing.beer Tue-Sat 3-9pm Classic pub fare in the shadows of Smith Rock, north of Bend. Sandwiches, burgers, hot dogs and other classics. 1730 Blue Heron Dr At River Run Event Ctr 541-610-4867 Mon 4pm-close, Thu 4pm-close Located at Eagle Crest, this restaurant serves American, Italian, Mexican and BBQ cuisine, in a lovely setting by the Deschutes River. Menu changes weekly, with at least two entree options, along with salad, rolls and beverages. 541-549-9122. angelinesbakery.com Daily 6:30am-4pm Cafe and bakery in the heart of Sisters, Angeline’s serves up some great pastries as well as sandwiches, salads and wraps! Angeline’s is also a music venue in the summer months. 541-549-4653. aspenlakes.com Open weather dependent. Sun-Wed, 11am-8pm. Thu-Sat, 11am-8:30pm Located just east of Sisters at the Aspen Lakes Golf Course, featuring huge timbers and floor-toceiling windows that give this large-scale lodge a homey, country feel and a warm, airy atmosphere. The menu includes steaks, chops, game and seafood. Open seasonally. 541-549-1082. cascadestreetdistillery.com Tue-Sat: Noon-6pm, Sun: Noon-5pm Sisters has its very own distillery in this family-run spirits company. Offerings include the North Sister Vodka, the South Sister Gin. Further evidence that Central Oregon’s crystal waters aren’t just good for making beer. 541-549-2699. cottonwoodinsisters.com Daily 8am-3pm New owners this year but still the same mouth watering fare and family-friendly atmosphere, serving traditional breakfast, old fashioned sodas and cocktails too! 541-549-2971. eurosports.us A cozy food cart garden located next to the Eurosports bike shop in downtown Sisters. 541-549-2631 Daily 6:30am-10pm. On Facebook Inviting venue for excellent pub food. 541-549-6114. hardtailsoregon.com Daily 11am-close Located in the heart of Sisters, Hardtails offers burgers, brews and bar games including billiards, pinball, horseshoe pits, karaoke and a stage with a dance floor. 541-719-1295. hopandbrew.com Sun-Thu: 7am-8pm, Fri-Sat: 7am-9pm One stop coffee, beer, and pizza shop, located off Highway 20 in Sisters! 541-595-1260. blackbutteranch.com Restaurant:Wed-Sun 5-9pm, Lounge, Daily: 3-9pm A warmer-season restaurant (call ahead to ensure they’re open for the season) that offers beautiful views of the nearby mountains and a farm to table ethos. Classic options include the seafood misto or couscous salad, or try the French Onion soup or rack of lamb. 541-549-0777. www.losagavessisters.com/ Daily from 11am-8pm Los Agaves is Mexican comfort food, lovingly prepared by chef Jimmy Fernandez who has combined his passion for creating food with his love for people in this relaxing and comfortable Sisters restaurant that’s reminiscent of a Texas border town cantina. 31 Wine is the main attraction, but the food menu is quite impressive too. With dinners that include hearty salads and fresh pastas, and a delightful soup, salad and panini menu for lunch, it has the makings for a good day or night in Sisters. 541-549-3594. www.ranchoviejosisters.com Sun-Thu: 11am-9pm, Fri-Sat: 11am-9:30pm At this Sisters Mexican restaurant, expect all the fare you’ve come to expect—but also scratchmade items made with love. 541-549-0361. sistersbakery.com Daily 6am-5pm Gourmet coffee and pastries, as well as other sweet treats! 541-549-0527. sisterscoffee.com Daily 6am-6pm Newly remodeled, this spot offers delicious coffees and much more. Voted Best Coffee Shop in our 2017 Best Of readers’ poll! 541-549-6151. On facebook. Winter: Sun-Thu 11am-8pm, Fri-Sat 11am to 9pm, Summer: Sun- -Thu 10am-9pm, Fri-Sat 10am-10pm Great burgers, milkshakes, house-made ice cream with a drive-in-slash-diner atmosphere. 541-549-1963. threecreeksbrewing.com Sun-Thu 11:30am-9pm, Fri-Sat 11:30am-10pm A solid place to grab a cold pint, with a sectioned-off bar as well as a spacious dining room within its impressive log-cabin-style confines. Three Creeks is both a family-friendly dining option as well as a spot to meet up with friends for a pint and some live music. 541-549-2471. foodcartgarden.com Featuring award-winning BBQ chicken lollipops, flat breads, BBQ lasagna, Italian ice, plus specials and the MangiaTV energy of food and family. 541-549-8356. sistersmartollis.com Sun-Thu: 11am-8pm, Fri-Sat: 11am-9pm Hand-tossed pizzas, baked in old-fashioned ovens, with dine-in, takeout or even take and bake options. 541-549-6759. On facebook. Mon-Sat 9am-7:30pm Sun 10am-6pm Don’t call it just a gas stop! Hit the tacos and other delights at this gas station-plusMexican joint the next time you need a grab and go option. 855-281-4270. blackbutteranch.com Daily: 11am-5pm The bar and restaurant open seasonally at Black Butte Ranch. Typically re-opens in mid-spring. 8am-9pm, Sun 8am-8pm Enjoy contemporary cuisine in rustic elegance with scenic Suttle Lake as the backdrop. On a warm sunny day, have your meal on the shaded dock or in the Boathouse watching the boats, ducks and geese cruise by. 541-549-7427. sisterssaloon.net Mon-Sat 11am-Midnight, Sun 9am-Midnight Formerly known as Bronco Billy’s, this spot offers locally-sourced, family-friendly dining in a historic building in downtown Sisters, dubbed a “Fresh Take on the Old West.” The restaurant side of the establishment offers live music during the summer months. 541-549-8620. takodassisters.com Mon-Sun 11am-8pm A full-service restaurant and lounge serving breakfast, lunch and dinner items including pizza, burgers, salads and sandwiches. The buffalo burger is one of the best around! 541-598-8868. thebasecampgrill.com Mon-Sat 7am-9pm, Sun 7am-8pm When you’re craving a burger, sandwich or chicken in Sunriver, BaseCamp Grill delivers a solid menu of American and Tex-Mex options. Located on the site of the first restaurant in Sunriver, this family-owned spot serves food all day, as well as beer and liquor. Buck the Ordinary. Dine with Diablo! Handcrafted margaritas! Dinner Menu Featuring drinking snacks, comfort food appetizers, salads, rice bowls, sandwiches and burgers. Full dinner specials – Steaks, seafood, pasta etc. Veg/Vegan options offered Kids welcome! 541-593-1019. blondiespizzasunriver.com Sun-Wed 10:30am-9pm, Thu-Sat 10:30am-10pm Locals and visitors alike flock to Blondie’s. Pizza, pasta, calzones and salads—and a gluten free crust option. Sandwiches at lunch. 541-678-5288. brewedawakenings.us Daily 6am-6pm Hand-roasted artisan coffees and baked goods, featuring pastries, smoothies, shakes, teas, specialty coffee drinks. Winner for Best Coffee Shop in our 2017 Best Of readers’ poll. SHOP SMARTER AND REDUCE YOUR FOOD WASTE! It’s easy to plan your menu for the week. Just think about how many meals you’ll eat at home and how long before your next shopping trip. It’ll be even easier when you sign up, take the Food Waste Challenge and download a meal planner from our online toolkit. Don’t forget to plan a leftovers night! 541-593-1222. cafesintrasunriver.com Mon-Sat 7am-3pm, Sun 7am-2pm, breakfast 7am-close, lunch 11am-close Specialized dishes with Portuguese influence, noted for their bold use of herbs and spices. Fresh squeezed juices and breakfast cocktails. Always worth the stop. 855-420-8206. www.destinationhotels. com/sunriver-resort/dining/carsonsamerican-kitchen-sunriver Daily 7am-9pm Food notable to the Pacific Northwest, chef Travis Taylor brings seasonal favorites with lake views. Open for breakfast, lunch and dinner in the beautiful Sunriver Resort Main Lodge. 541-593-0339 Open 24 hours A staff of foodies ready to serve everything from breakfast to adventure. Good 2 Go has Oregon’s largest supply of water sport rentals, and a great selection of food! 541-593-8300. marcellos-sunriver.net Daily: Restaurant, 5pm-close. MonSat: Lounge, 4pm-close. Sun: Lounge, 5pm-close An Italian restaurant with a Northwest twist, serving pasta, osso bucco, salads and more, with a lounge to boot. 541-593-3469. sunriver-resort.com Daily 6am-close Located next to the putting green and the Woodlands Golf Shop in Sunriver, this spot offers casual breakfast and lunch items including burgers, fish sandwiches and more. 541-593-3881. southbendbistro.com Wed-Sun: 5pm-close Closed Mon-Tue At this fine dining establishment in Sunriver, the menu is fresh and local, concentrating on steaks, pasta, fish and poultry prepared with French and Italian influences. An array of specials augment the menu each night, and desserts are excellent. 541-322-8821.On Facebook Sun-Thu 11am-10pm, Fri-Sat 11am-11pm Best of Central Oregon 2017: “Best Mexican” Classic Mexican fare and generous margarita specials served in a family-friendly atmosphere. An extensive menu of fare to share, from overstuffed burritos to enchiladas and more. 541-593-3986. hotlavabakingandcoffee.com Daily 6am-7pm Fresh baked goods that have been part of the Sunriver scene for over 30 years. 541-593-8880. holabend.com Daily: 11am-9pm Diners will find plenty of dishes to recognize on the menu, but all will have been juiced with bold Mexican and Peruvian flair. Also, all five locations boast expansive tequila selections. 541-593-3730. sunriver-resort.com Mon-Fri: 4pm-close, Sat-Sun: 11:30am-close Great food, great brews and great views in the heart of Sunriver. Located in the heart of Sunriver Resort Main Lodge, Twisted River serves pub apps, shared plates, salads and entrees to delight all appetites. 541-593-1100. sunrivervbag.com Daily 11am-10pm The atmosphere suggests yuppie after work dinner or lunch or maybe a few drinks with clients. Classy enough for business type, affordable enough for most with the ultimate pub-style menu. 541-593-4855. calderasprings.com Sun-Thu 8am-8pm, Fri-Sat 8am-9pm A breakfast, lunch and dinner option located in the Lake House at Caldera Springs Resort in Sunriver. Opens seasonally. Pacific Northwest, New American, American 541-548-5030 Daily: 11am-close When in Tumalo, do as the Tumalonians do. A favorite of Smith Rock climbers and locals too, the Depot has a full bar, a solid menu and is located in a 100-plus-year-old former train station. 541-312-9349. pisanosbend.com Delicious pizzas, made by a chef who trained in Italy, plus beer, wine and plenty of pastas. 541-610-6457. thebitetumalo.com Daily: 11am-9pm Tumalo’s popular food cart lot, featuring an indoor beer garden, fire pits, games and a host of great carts. 541-548-4990. pumphousegrill.com Mon-Fri: 11am-10pm, Sat 8am-Midnight, Sun 8am-9pm A family-friendly restaurant open for breakfast, lunch and dinner. Burgers, fries and the like, as well as classic breakfast items. 541-382-2202. www.tumalofeedcosteakhouse.com Daily: 4:30pm-close Hungry for some steak? Enjoy ambiance straight out of the old wild west? If so, the Historic Tumalo Feed Co. Steakhouse is the place to be! They’ve been serving up legendary steaks and northwestern hospitality since 1991. Friday and Saturday nights, enjoy live music in the saloon from 7pm-close — and don’t miss out on prime rib on Saturday and Sunday nights! Reservations recommended. 541-548-5462. On Facebook Daily 6am-2pm A classic diner that offers breakfast and lunch items. 541-593-3790. sunriver-resort.com Daily 9am-3pm A combo of sundries and foods ready to eat. Dedicated to healthier pets for over 25 years. Nutrition is our thing. Come talk to us today! You're busy being a parent, let us help! Bend, Redmond & Sunriver. 5 days a week. Free. Learn more and sign up to be an Insider today! You'll be the first to know about our upcoming events, promotions and new products! You'll save 5% on autoship orders and even take 15% off your first online purchase. 541-330-2323. On facebook. Daily: 11am-close Like pool? Like motorcycles? Then you’ll probably fit right in here. In addition to the full bar, there’s video lottery, pool tables, darts, Golden Tee and horseshoes— plus karaoke Saturday nights. popular vacation community. Today it’s a hot spot for fish & chips, steak bites, burgers and lots of fun times. Join the Insiders today and save! 541-550-7727. On facebook. Wed-Sun 10am-3pm A Broken Angel is sustainable, organic, vegan food cart that specializes in southern comfort food. The tale of the Broken Angel began with partners Richard Hull, French-trained chef from Oklahoma and Barbra Troyer, a Central Oregon native. This pair somehow created delicious vegan southern style dishes, well worth a try or two. You probably won’t believe it’s vegan. 541-815-1247. facebook.com/friesalacarte Daily 11am-9pm, 11pm-Midnight Using only high quality potatoes, the menu includes staples like fries drowned in gorgonzola and bacon, carne asada fries, sweet potato curry fries, and surprisingly flavorful salads. 541-280-6795. austinstreettacos.com Mon-Fri 10:30am-2:30pm The name nearly says it all: Street tacos, plus burritos, in The Podski, the fun lot by the Box Factory. On facebook.com/Bendmountaindogs Hours vary Located in downtown Bend, Bend Mountain Dogs serves up 100% beef or classic pork hot dogs, plus authentic quesadillas with Mexican truffles. 541-200-5058. On facebook. Mon-Fri 11am-3pm, Sat 11am-2pm Serving up a variety of fresh, hot soups that changes daily paired with five different grilled cheeses! Yum! On facebook. Mon-Thu 4-8pm, Fri-Sun Noon-8pm Polish food cart with a rotating selection of dozens of pierogis. facebook.com/Big-Skis-Pierogi-1383164308671205 Sun-Thur 11am-9pm, Fri-Sat 11am-10pm Polish food cart with a rotating selection of dozens of pierogis. 541-598-4849. thebleurooster.com Tue-Wed 11am-8pm, Thu-Fri 11am-9pm, Sat-Sun 11am-8pm Two chefs teamed up to create this globally inspired menu, featuring shrimp & grits, a Cubano, loaded fries and more. www.bombbetty.com/ Thu 3-8pm, Fri-Sat Noon-8pm Hot sandwiches, mac n cheese and loaded fries, in the lot next to Bridge 99 Brewery. 541-550-6313 Mon-Sat 8:30am-7pm, Sun 9:30am-noon Tacos, enchiladas, nachos, enchiladas and other Mexican staples. Located next to a car wash on Empire, get food while you wash—or not. 541-610-8871. bruneaus.us/ Year-round 9pm-2:30am. Summer: TueFri 11am-3pm Philly cheese steaks and traditional Greek gyros, made by a genuine South Philly transplant. 541-610-4969 Daily 11am-9pm All-American hamburgers, hotdogs and milkshakes, made one at a time at The Lot. 541-647-4772. curbbqbend.com Daily 11am-8pm, Tue and Sat open until 9pm Curb B Q serves up traditional barbecue and some more modern fare with incredibly friendly service. Their web page boast that, “we make everything fresh fabulous and flawless.” Don’t wait to give this incredible food cart a try. 503-780-1189 Mon-Wed: 11:30am-7pm, Fri & Sat: 11:30am-8pm, Sun: Noon-7pm Pub-style food with a Italian French twist. Infused beer, wine and liquors. Handmade pasta, risotto cakes, burgers, polenta, spicy pickled eggs, green salad, pasta salad, mezza plates. Everything is made from scratch with local ingredients. Fermentation Project. Summer hours: Mon-Thu 2-8pm, Sat-Sun Noon-6pm. 203-644-7701. www.facebook.com/ DumpCityDumplings/info Thu-Sat: 10pm-2am Wildly imaginative dumplings are the main attraction—Pad Thai, pork, even cheese pizza. They also stay open late to soak up the evening’s beer. www.elsanchobend.com/ Mon-Tue 4-9pm, Fri-Sun Noon-9pm The permanent cart-shack at Crux Fermentation Project serves up El Sancho’s delish tacos, including barbacoa, carnitas and more. 503-853-4482. emwfusion.com Thu-Sun Noon-8, Mon Noon-3 A “Fish-wich” is a Korean style waffle sandwich, filled with all kinds of goodies from meats to veggies to sweet stuff. Make sure you check out their website to find their current location! www.thelotbend.com/frickenfaco Daily 11am-9pm Fried chicken and fish tacos—hence the combo names. “Fricken” is fried chicken; “faco” is fish taco. Located at The Lot, in a double-decker bus. 541-610-4969. thelotbend.com/greek-street Daily 11am-9pm A food cart in The Lot serving Gyros in every configuration—chicken, lamb, beef and veggie. Get your Gyro on! 541-410-4431. himalayanbites.com Tue–Sat 10:30am-9pm, Mon 3-8:30pm Momos—hand-made dumplings stuffed with meats and veggies, noodles, and other delights inspired from the Himalayas, in the On Tap food cart pod. 35 Restaurant Guide in 2019, Hogan’s serves up a host of sandwiches with killer sauces—including a vegetarian option. Craveable, for sure. Located in the River’s Place food cart lot. 541-633-8311 Tue-Sat 11am-8pm This tasty food cart housed at Spoken Moto serves up delicious comfort food for veggie lovers and meat eaters alike. From curry and chipotle chicken bowls to sandwiches and mac and cheese to die for, Inferno is sure to light your fire. 458-256-9811. thejerkkings.com Tue-Sat 11am-9pm The Jerk Kings specialize in Caribbean street food, including jerk pork and chicken. Two locations, in Redmond at Wild Ride, and now at River’s Place in Bend! 541-318-6313. On facebook. Mon-Fri 7am-5pm, Sat-Sun 7:30am-5pm Coffee, toast, smoothies and acai bowls, what else could you want? This healthy expansion of Dakine Grindz offers service year-round to all the happy hipsters in town. ontapbend.com Daily 11am-9pm Located in scenic Central Oregon, on Bend’s Eastside, On Tap is a wonderful place to enjoy a beverage, tasty meal and do it with a view. With over 30 tap handles, plus wine options, Oregon ciders and kombucha. The six food trucks satisfy every palette. Enjoy live music relaxing on the covered patio with heaters, bar seating, a rustic fire pit and a large lawn. Did we say they have corn hole? 541-678-2063. www.phillystylebend.com Daily 11am-9pm A converted Portland Tri-Met bus serves as the home of this Philly Cheesesteak cart, located at On Tap on the east side. www.thepodski.com All days 11am-7pm Food cart pod between Old Mill and Downtown Bend with a rotating tap list of craft beer, canned classics, wine and cider. 458-256-9609. www.redroadpizzaco.com/ Wed-Sun 11am-9pm Named after the old Cascade Lakes Highway, originally paved in the 1950s with the red volcanic cinder. What started as a cart in Redmond (still there) now has a second location at River’s Place, serving up a host of classic and creative pies. scoutbend.com Hours change seasonally Brunch anyone? How about a burger? Ice cream? This little food cart aims to “Scoutpost” every craving. 541-647-4399. www.shredtownfoodtruck.com Mon-Sat 11am-10pm A constantly rotating menu of items containing some kind of “shredded” component, including juicy meats such as carnitas and asada, shredded veggies and homemade sauces. Yummy for shreddin’ snowboarders, and others, too. 541-647-4399. shredtownfoodtruck.com Daily 11am-9pm A constantly rotating menu of items containing some kind of “shredded” component, including juicy meats such as carnitas and asada, shredded veggies and homemade sauces. Yummy for shreddin’ snowboarders, and others, too. Now in Redmond at Wild Ride. Food Carts, Thai, Asian 541-390-0230. thailandia-bend.com/location/ Thu-Mon 11am-9pm The same Thai delights you may have tried at the cart on Arizona Avenue are now also available at River’s Place. 541-639-5366. www.redroadpizzaco.com Wed-Sun 11am-10pm The original location for this pizza cart at Wild Ride Brewing, which now has a second location at River’s Place in Bend. The cart is named after the original Cascade Lakes Highway, which was paved with red cinders in the ‘50s. The cart offers traditional pizza offerings, as well as creative and spicy options. Bend’s Best Patio Bets, Bar / Pub / Lounge, Food Carts, Best Patios 541-610-4969. On facebook. Daily 11am-9pm A favorite food cart pod on Bend’s west side. 541-237-8200. thetinpigfoodcart.com Tue-Sun Noon-close Can you say fried pickles?! A food cart with down-home Southern goodness, serving delicious hormone-free chicken sandwiches, burgers, hushpuppies and more, in The Podski lot. Southwestern, Food Carts, Breakfast and Lunch 541-610-8399. solverdebend.com Mon-Fri 8:30am-2:30pm With New Mexico-inspired flavors, this cart is doing something different from anything else offered in town—making it a great representation of the 100 different ways to eat green and red chilies. Breakfast burritos!! 541-647-4399 Mon 11am-8pm, Thu-Sat 11am-10pm, Sun 11am-9pm Specializing in creating BYO pizzas and traditional New York style thin crust pizzas everyone will enjoy. There’s even a gluten-free option! Dine in or take out. Delicious, authentic tacos that are affordable too— plus other Mexican faves. Located at 9th St. Village. 541-633-9800. werethewurst.com Daily 11am-9pm Authentic European-style food, sausages and pomme frites, including German bratwurst, Belgian waffles and crepes. Located in the River’s Place lot. The spot also makes sausages you can pick up and grill at home. 541-390-9992 Mon-Fri 10am-7pm Don’t pass by this little gem the next time you’re zooming on Third Street; this cart serves delicious, authentic street fare inspired by the state of Jalisco, Mexico. 541-797-4079. bendbbqcaterer.com Tue-Sat 11:30am-9pm In addition to an awesome catering service, Bad Boys has a food cart in the Jackpine Court, home to Porter Brewing, Dry Fields Cider and Gompers Gin, as well as this delish cart. Get pulled pork, brisket, burgers, hot dogs, street tacos and more. 541-815-0180. facebook.com/ATasteOfThailand Mon-Sat 9:30am-7:30pm There’s really nothing not to like about Taste of Thailand, from the funny and friendly service to the quality Thai cuisine to the incredible value. Drive through, no fuss lunch or dinner. 541-788-0353. thaiflybend.com Mon-Fri 11am-3 pm A roving Thai food cart in downtown Bend, run by a Thai culinary arts grad. 541-390-0230 Thu-Mon 11am-8pm Thai food in the fun, convivial atmosphere. 541-693-6911. On facebook. Thu-Tue 11am-10pm Parked at Wild Ride Brew, FoodFellas offers all the classic food cart fare—delicious wraps, burgers, sandwiches and daily specials. 541-771-5403. thejerkkings.com Mon-Sat 11am-10pm Food Cart of the Year winner for 2016, The Jerk Kings specialize in Caribbean street food, including jerk pork and chicken. Located at Wild Ride Brewing. 541-280-9007. On facebook. Sun-Thu 11am-8pm, Fri-Sat 11am-9pm She’s the daughter of Guatemala’s one-time ambassador to the U.S., a former freelance correspondent for National Public Radio and CNN covering Guatemala in the ‘90s, and a radio personality in Mexico. Today Maya Padilla and her teenage son/sous chef Dante prepare mouth-watering dishes at Taco Maya, launched last summer in Sunriver’s food court. Whether it’s produce on Rome’s streets or the Mayan farmers in Guatemala’s markets, the colors and scents, the people and the liveliness, the herbs and fresh produce are Padilla’s muses. www.thatguys.com Wed-Sun 11:30am-3pm; longer hours in summer Flatbreads served as pizzas, or with Philly cheesesteak-inspired sandwich fillings, wrapped like a taco. Located in the General Duffy’s lot. 562-713-5150. westsidetacoco.com Mon-Thu, Noon-8pm. Fri-Sat, Noon9pm. Sun, Noon-6pm Tacos that some of our readers have said are the best in the region. Definitely worth a visit to Redmond! 541-588-2054. boonedogpizza.com Thu-Sat, 11am-7pm. Sun, 11am-5:30pm Boone Dog Pizza is a mobile wood fired kitchen dedicated to sourcing the freshest produce, humanely raised meats, and artisan cheeses that central Oregon has to offer. We take great care to keep our offerings simple and seasonal. 541-549-6759. On facebook. Mon-Sat 9am-7:30pm Sun 10am-6pm Don’t call it just a gas stop! Hit the tacos and other delights at this gas station-plus-Mexican joint the next time you need a grab and go option. Mon-Tue 4-8pm, Wed-Sun 11:30am-8pm A wide-ranging menu of pizza items, located in a food truck in Sunriver. Dairy-free and glutenfree options available. Daily 11am-9pm Grilled cheese sandwiches and then some at The Bite in Tumalo. Experience quality grilled cheese like never before. The eccentrically named sandwiches, such as “Cheezus Crust,” “Swiss Piggy,” and “ The Big Leboski,” have a variety of ingredients that will make your mouth water, and come back for more. 541-420-5188. On Facebook Daily 11am-9pm Yummy tacos and Mexican go-tos, at the Bite in Tumalo. 541-797-4325. On facebook. Mon 11am-9pm, Thu-Sun 11am-9pm Central Oregon’s food truck stop for authentic Japanese cuisine, featuring fresh sushi, yakitori, bento boxes, tempura and more. Check them out at the Bite in Tumalo. 541-678-2559. theroguechef.kitchen Daily 11am-9pm Headed up by the former chef at the Peerless restaurant in Ashland, this cart serves salads, burgers, classic cheese steak, a killer Rueben, patty melts and more hot sandwiches at The Bite in Tumalo. www.thebitetumalo.com/shaka-shave-ice Daily 11am-9pm Hawaiian shave ice in a host of flavors, at The Bite in Tumalo. Hogan said the cart is getting a lot of weekend business now that winter’s finally moved on, and he’s ready to rock n’ roll this summer. “There’s enough people in this town to support good people and good products,” Hogan said. Hogan’s Hoagie Stop also serves soup and cookies, along with some soft drinks and juice. Go get ‘em, Central Oregon—you won’t be disappointed. THANK YOU BEND for your continued support! Weâ&#x20AC;&#x2122;re looking forward to summer & watch for the NEW FOOD TRUCK coming to Cascade West in May!